There are myriad, of course, but on this day, I plan to uncover at least one mystery of the universe: how Hot Wheels cars are made. 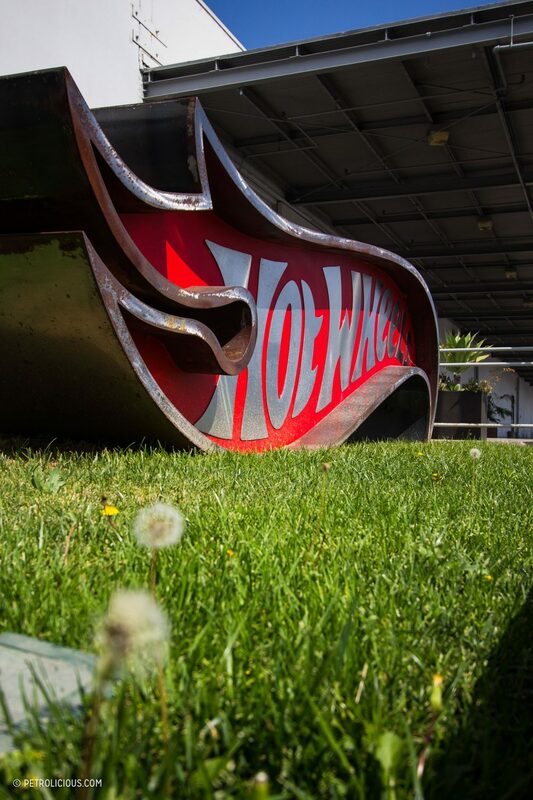 As I exit my Lyft ride, feet facing the entrance of my own personal Machu Picchu—Mattel’s HQ in El Segundo, California—my eyes fall on the enormous “Hot Wheels®” sculpture planted in the earth nearby. I’ve got collywobbles in my stomach. Up close, seeing this citadel, this mecca of toys, is like looking at the outside of Santa’s workshop, only it’s tangible, and I ask myself what magic lies therein. Just minutes earlier in the car, I’d overheard the radio DJ talking about National Star Wars Day, but I’m focused on the task at hand and due to my preoccupation, fail to interpret the divine message of my soon-to-be reemergent childhood. Thus, as I put one foot in front of the other, walking up the ramp leading to a set of doors, I don’t steel myself for what’s behind them, not yet realizing multiple memories from my youth will soon converge. Then my phone pings. A text message. It’s the photographer telling me he’s 15 minutes behind schedule. I’m chronically early by nature, but I take the information as a blessing; I now have additional time to compose myself, to go over my list of questions, to check my batteries, to check and check and check again that my pens have ink for the task at hand. 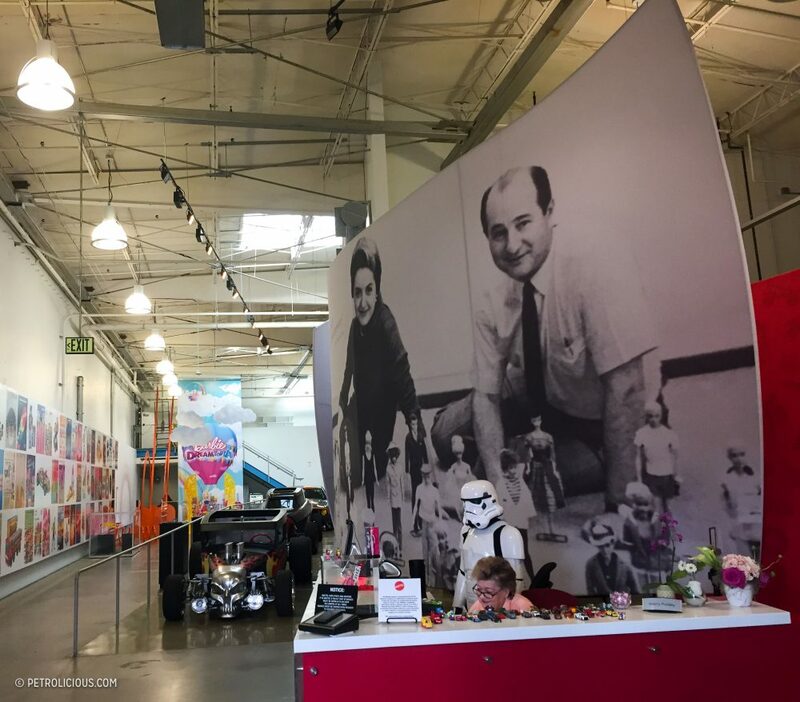 I enter the main lobby of the Handler Team Center (named after the late Ruth and Elliot Handler, the married couple and founders of Mattel) and I experience a sort of sensory overload. 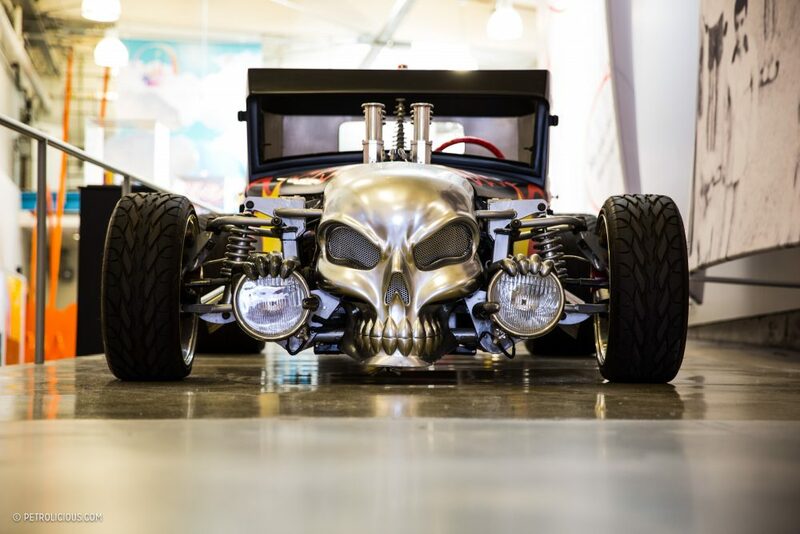 To my left, several feet away, sits an ominous, life-size rat rod, replete with a skull-shaped grill—the “Bone Shaker”—one of several toy-cars-turned-reality commissioned by the company. I look to my right and I see the security guard. Two worlds begin to collide. It’s an Imperial Storm Trooper. Seated and flanking his left is Sherry, Mattel HQ’s receptionist and official gatekeeper for the past 36 years. The radio message. The juxtaposition. It becomes clear; it really is National Star Wars Day, and in this 200,000 square-foot facility at this moment, I’m a young Luke Skywalker, searching for answers about his childhood. The Storm Trooper watches me and I wonder if he’s part of a convoy, somehow lost? It would have been easy enough to sneak past him, for despite my lack of training in the Jedi arts I see he’s busy posing for pictures with other visitors. Sherry on the other hand? She’s a human radar, and I was not about to get past her without a badge. With my photo taken and credentials verified, the Imperial-esque security system spits out a guest badge for the day. My assignment? 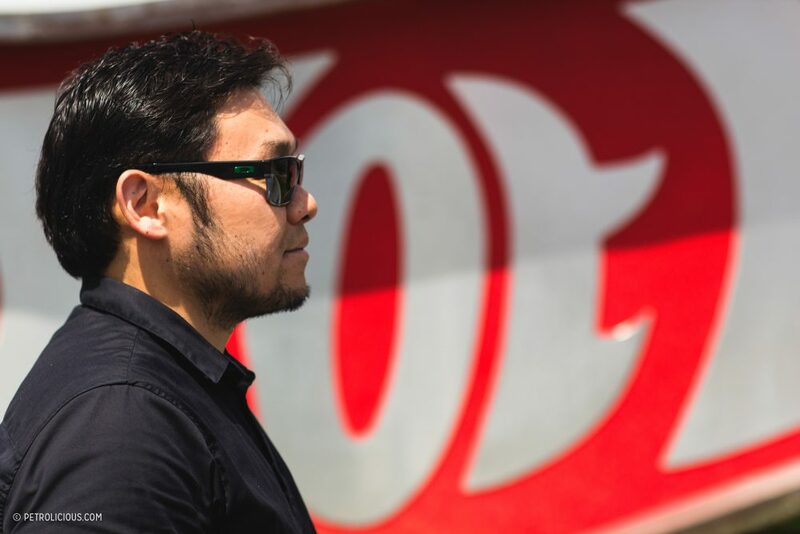 To meet and interview two contemporary Hot Wheels design legends, Jun Imai and Ryu Asada, both 21st century Rebels—and Jedi—in their own right. My mission is multi-pronged: to humanize the toys themselves, and to reveal as much as I can, in one hour’s time, the secrets of the designers’ motivations and professional backgrounds, to uncover the sprit of the Hot Wheels ethos, and to simultaneously strip away and (hopefully add to) some of the mythology behind the people responsible for the number one selling boys’ toy on Earth, and perhaps in the galaxy. My points of contact for this assignment, Candice and Jessica, both from Mattel’s Global Brand Communications division, greet me in the lobby before I follow them to the designated interview space. Along the way, I’m given brief instructions about what we can and can’t shoot (sorry, the vintage vault is off-limits); a bit of history about the Hot Wheels brand; information on Mattel in general; and a quick background on the space we’re in (it’s an old aircraft parts factory, built in 1954). It’s clear from how they speak that the team’s sense of pride and secrecy go hand-in-hand. Moments later, after nearly 180 days of planning, I finally spot my first interviewee, Jun Imai. I take out two audio recorders, one digital, the other analog and featuring a 60-minute micro-cassette. Noticing the latter, he smiles and asks if I’ll be flipping the tape later on. “Of course,” I reply. And then we begin. Marc Levitz: Let’s start with you introducing yourself. 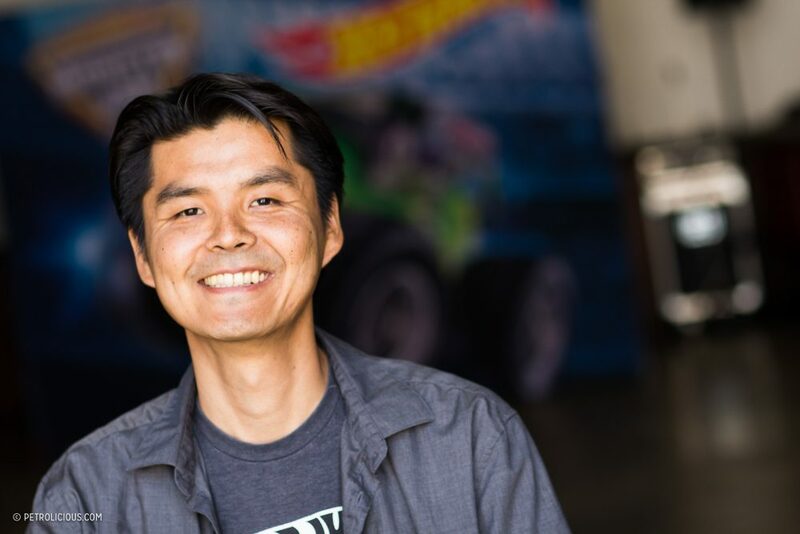 Jun Imai: I’m Jun Imai and I’m the Senior Manager of the Hot Wheels Diecast Design Team and I head up a team of creatives who are comprised of automotive designers, graphic designers, product designers, etc. 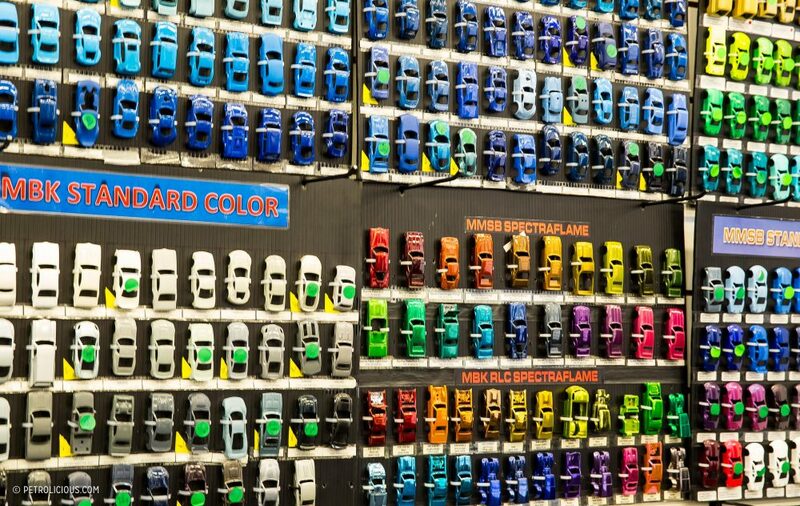 Basically, we create all of Hot Wheels’ diecast cars. ML: Lucky you! So you knew this is what you wanted to do when you were a little kid? Can you tell me about your earliest memory of when you knew were on the right path? JI: Actually, I remember I won a third grade drawing contest and it was a drawing of a monster truck. I loved monster trucks as a kid so I drew them all the time and I won the award for 1st place. My parents stuck it up on their refrigerator door, and I think my mother still has that drawing, actually. And from there on it just progressed and kept going; it’s something I naturally just did. ML: How did you ultimately get started in this profession full-time, and what was your educational background? JI: I’ve had a love for toys and for cars all my life, so in a way, it was actually planned. I’ve drawn cars ever since I was a little kid, you know? Eventually I went to school for automotive design. ML: So you were drawing and sketching in your notebooks while you were supposed to be studying, before that became what you studied; what did your folks think about that? JI: Actually, I would look at drawing as a source of inspiration to help me focus or get through the moment. And my parents were fully supportive and it was obvious from the start that that’s what I wanted to do so they wholeheartedly supported me. ML: That’s great. So when did you begin to study art as a discipline more seriously? JI: I pursued art classes all throughout the rest of elementary school and when I got to junior high I started getting into advanced placement art classes and my teachers were really supportive. They would let me draw cars in class instead of you know, still lives and things like that. Then I went to University High School in West LA and that’s where I actually discovered that I could take this designing into college. We had a visitor from the Art Center College of Design in Pasadena come through from their Transportation Design program, which was about three years long. That there was a program for Automotive Design and that I already had a great interest in it, I knew right then and there that that’s what I was gonna pursue. The school had alumni come in and show us their portfolios and what they do and that’s how I really discovered automotive design. That really paved the way for the direction I wanted to go. That day was absolutely inspirational! I told my parents I’d figured it out and I know where I want to go and they were super happy about that. ML: Fast forwarding to where you are now, let’s discuss the design process of a Hot Wheels car. How has that process changed over the years, from your perspective? 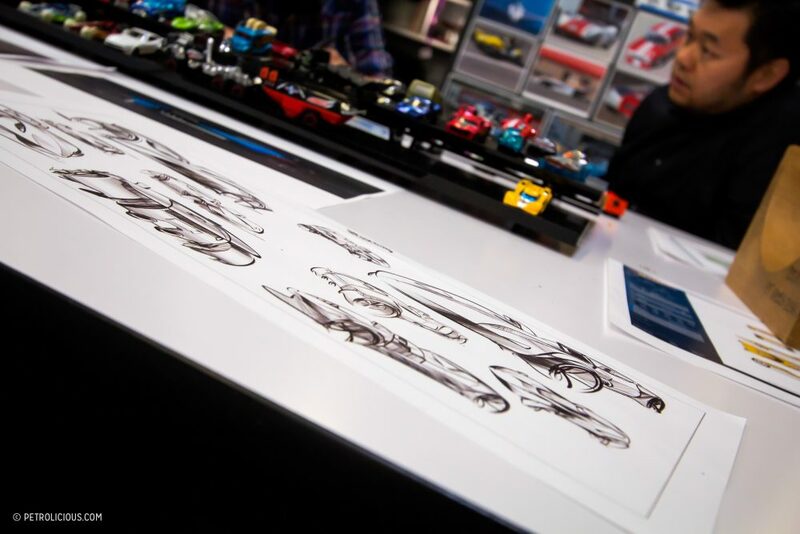 JI: Well, actually there’s no difference between how they begin life then and now because Hot Wheels designs always start with a sketch—that’s how they started back in 1968, and that’s how we still do it now today. The process following the designer’s initial vision, however, has changed a little bit of course. ML: How many people does it take to design one car? JI: We have a full design team and they’re comprised of mostly automotive designers. If it’s a licensed vehicle we’re doing for example, a lot of times we’ll take that car and modify it in some way and that’s gonna have its own designer’s vision attached to it. Or it can be an entirely original design—a Hot Wheels Original as we call them—like the Twin Mill, which was designed in 1969, or a newer model which might be a car that’s inspired by a toilet (“Gotta Go”) or a toaster (“Roller Toaster”), you know? There’s a lot of creative ways that we can explore vehicle design, and each has its own process attached. ML: How many designers are there on the entire team? JI: On the Diecast Team we have about 17 usually, and half of those are graphic specific and the other half are the vehicle or automotive designers. 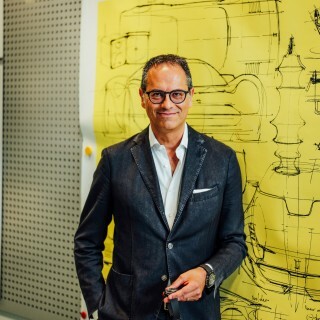 The automotive designers on our team come from that background, so they sketch the actual shape and design and styling of the car. The graphic designers just design the graphics for the vehicles, the paint jobs. A lot of the process is still done by hand because the ideas might come to us during meetings or out in the field, what have you. But we definitely embrace digital, of course, and after the hand-drawn ideas, a lot of the work is done on screen. ML: Run me through the approval process of say, this Gotta Go car from the Experimotors line. JI: The first thing is vehicle selection. 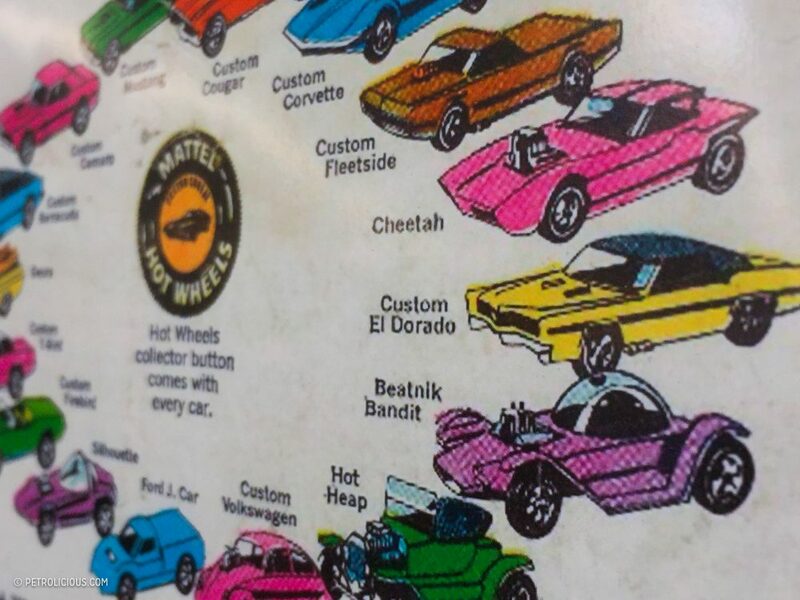 First and foremost we’ll identify the buckets—the silhouettes—because one of the great things about Hot Wheels is variety. We wanna make sure there’s something for everybody. We cover every category, you know? We might say, for example, the Gotta Go is part of a feature line, meaning there is some unique feature on the car besides just being able to move around. For that car, when you roll it, the seat jumps up and down. So just in that, we’re thinking, “What are different ways we can have this kind of feature activation where there’s an engine shaking?” Or we have a shark that has a chomping mouth. So we’re like, how about if we make a car with a toilet seat that flaps up and down? That’s kind of a fun idea. So the designer who came up with that will kinda just start sketching it out and tie it to a theme. One of the things we always do, even if it’s a non-automotive idea, like a toilet, we still want to incorporate car design and car culture into it so it’s still got that old hot-rod look. We still want that automotive look but with that fun factor tied to it as well. ML: After the theme and automotive aspects are dialed in, what happens next? JI: Once the designer sketches it, we’ll get into 3D fairly quickly. We have a team of modelers who work on various programs to do that. Then we send it to the model shop here and they do the rapid prototyping and then we’ll get a 3D model print and check all the functions, the design. We use Free Form, an organic modeling and sculpting software and Alias (from Autodesk), as well. Once that’s done, we send it off to our partners in Asia and they’ll further develop it. They’ll incorporate wall thicknesses, performance standards. 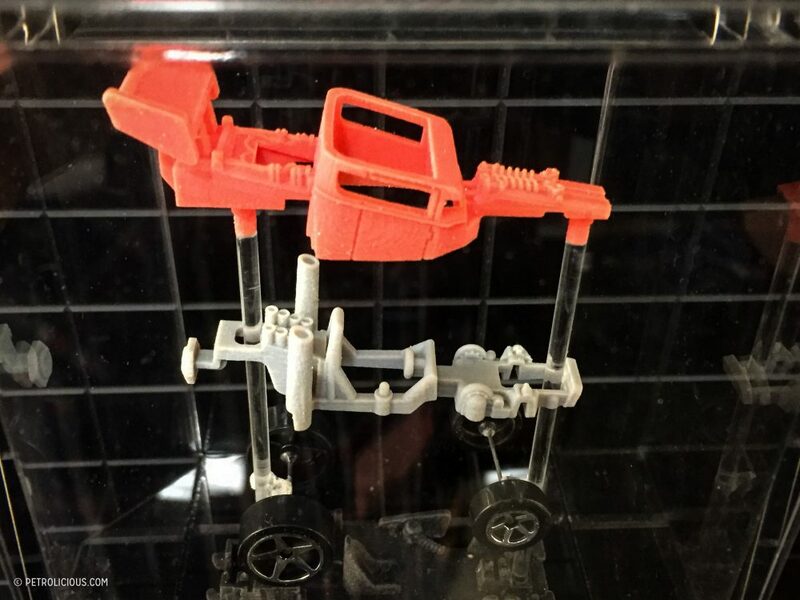 They basically turn the car into four parts because all Hot Wheels cars are four parts: we have the body, the windows, the chassis and the interior. They’ll make sure it all comes together, that all the pieces fit. Then they send it back to us and we go through a little design and approval process and once that’s done, we sign off on it and it’s ready for production. The whole process takes generally about nine or ten months per vehicle. ML: How many units of each model do you normally produce? 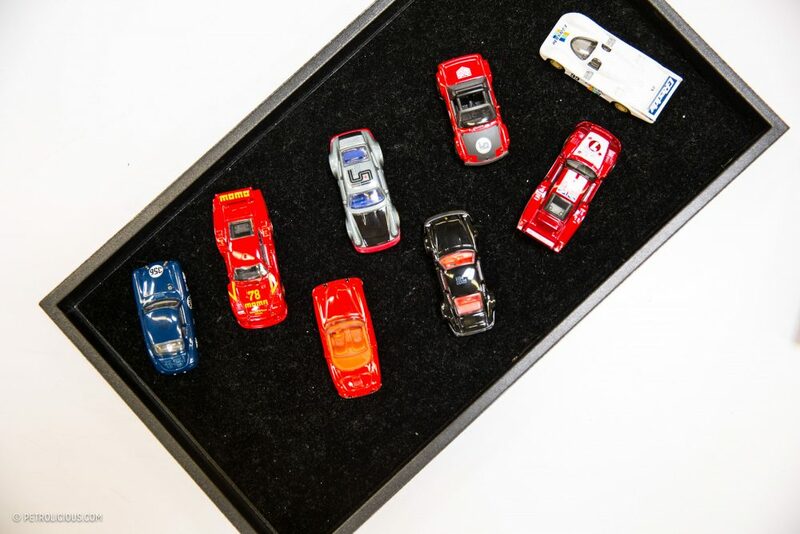 JI: It depends, but for our Hot Wheels Basics line, which is the number one selling toy in the world, we’ll make way more of those than say, one of our premium collector lines, which are intended to be limited for the more dedicated Hot Wheels collector. 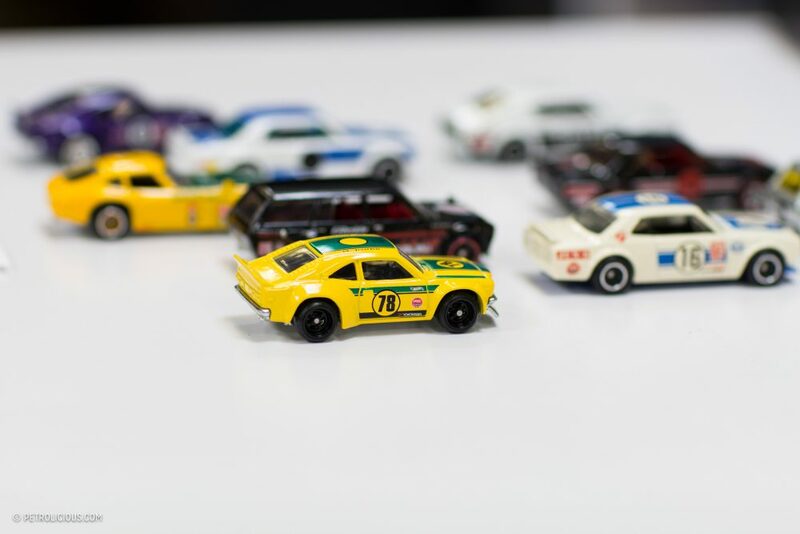 ML: Shifting gears a bit, when someone decides they want to become a Hot Wheels team member, what qualities do you look for when you’re selecting someone to join the team? JI: Well, first and foremost, they have to love Hot Wheels! 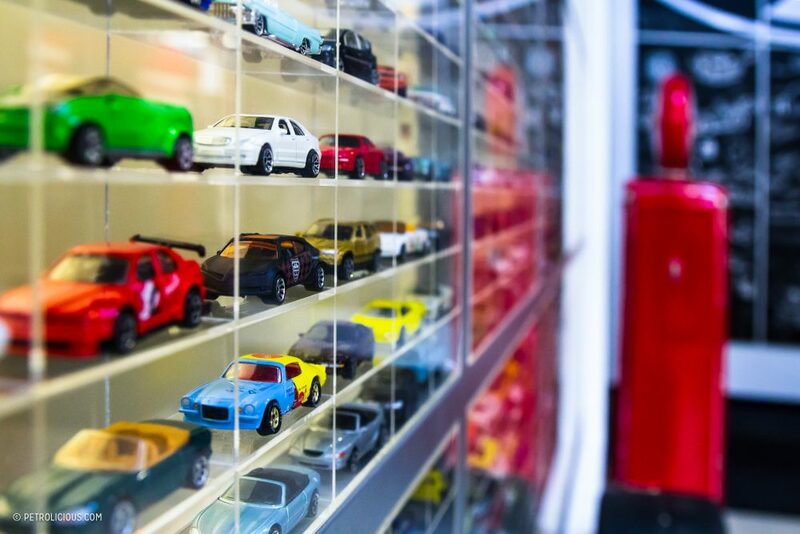 All of us here live for Hot Wheels inside and outside these doors; we’re all car fanatics, you know? But having passion for the brand is most important, more than anything else. More so than design skills, for that matter. Of course having the skill set is important [laughs], but they go hand-in-hand with the passion. To have a love for cars, have a love for the toys, and to have a love for play is also very important. 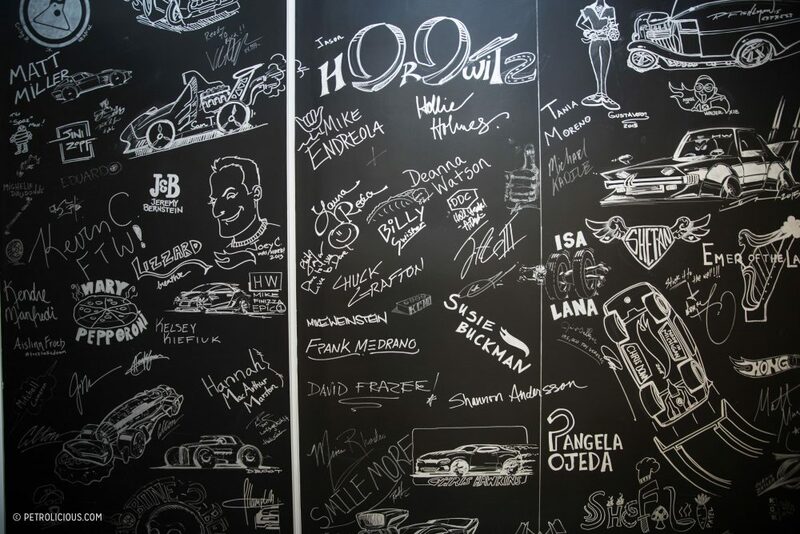 As for the skill sets, in automotive design or in graphics or fashion, we now have designers who do it all. Some of the people on the team can do the graphics one day and then they’ll go straight to work on vehicle designs another day. 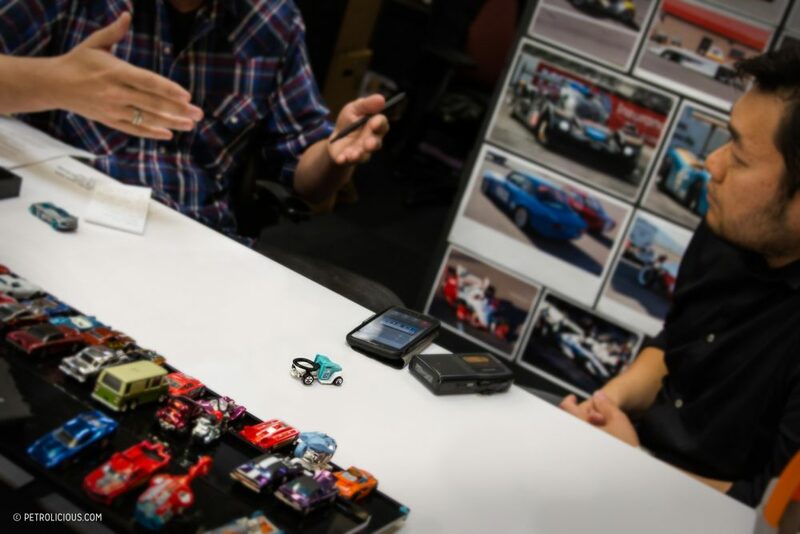 ML: So for any potential Hot Wheels team member, what’s the interview process like? How would they prepare for a job in your world? What materials do they need to make an impression on you? JI: A lot of the candidates use digital presentations nowadays instead of the [portfolio] books, but sometimes it’s nice to see designers come in with kind of the old school approach of going through the portfolios in analog. I think it’s still fun and really refreshing to see that. There are definitely certain things that we look for depending on what lines they might be working on though too. 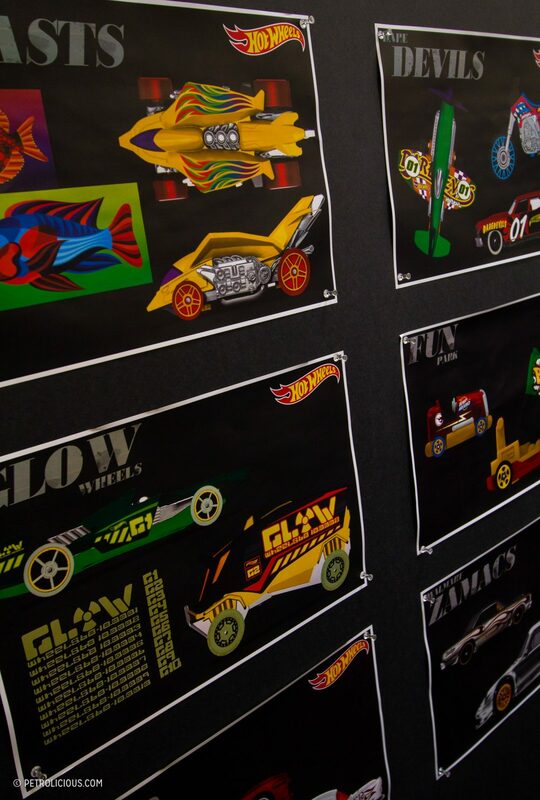 We have several different lines ranging from the original designs that we have a lot of fun with, replicating licensed vehicles, or even doing what we call the Character Cars that we have a whole licensed entertainment space for, where it’s about knowing a lot about those worlds and creating designs around them. 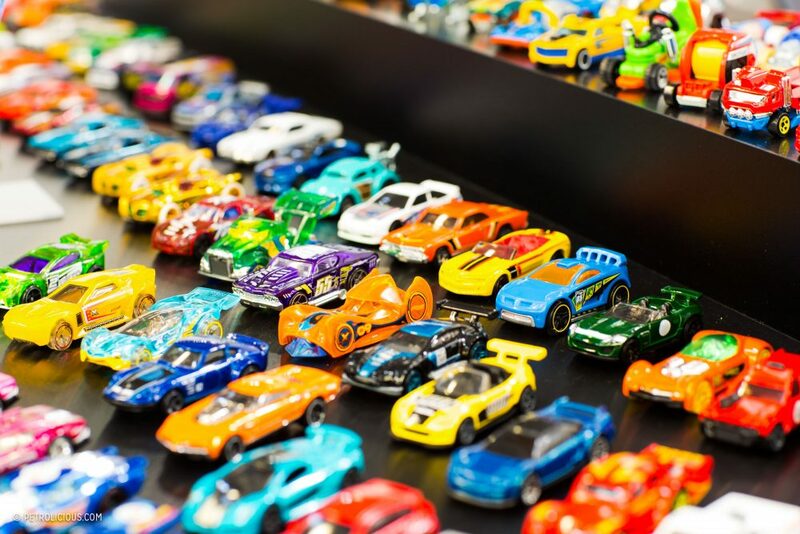 ML: In total then, among all the lines, about how many vehicles does Hot Wheels release each year? JI: Every year we do about 1,200 to 1,400 different vehicle releases, and in terms of design, there are about 150 to 200 brand new cars every year. Each one takes about 9 to 10 months to complete. Our designers have several cars going at the same time obviously, whether it’s on the graphics team where they may be designing 10, 20, 30, 40 different graphics at once, or the vehicle designers who may be working on five to six at a time. 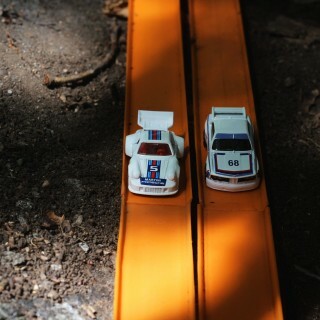 ML: Speaking of different projects, one of the coolest Hot Wheels products in my opinion is the Japan Historics line. Can you talk to me about that line’s background? JI: Actually, you know the Car Culture line for our Premium Collection? The Japan Historics line was actually the line that inspired that whole thing. A lot of us here are into the classic Japanese cars, including myself. I own a few, and for me, the cars represent my dream garage. I’m a big fan of Nissan Skylines, I have a 510 wagon, but the Toyota 2000GT is one of the most beautiful cars ever. No one can argue with that. And the Mazda RX-3? That’s a rotary I, and a lot of others, aspire to own. 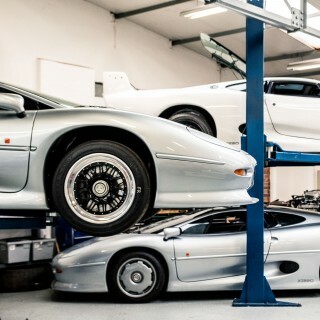 Those are the cars I want in my collection, right? So I have one out the five in real life, and I’m still working on the other four [laughs]. ML: So it’s fair to say that the Japanese Historics line was a project that you were personally stoked about? 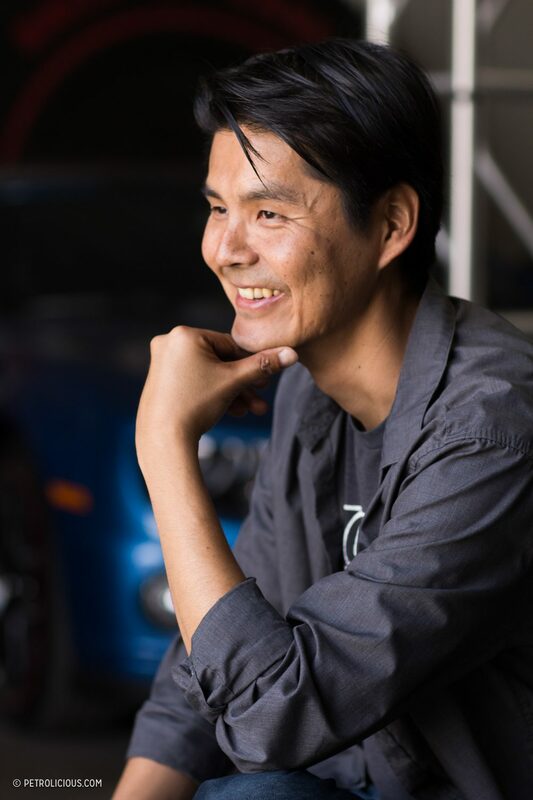 JI: Yeah, I think myself and also the other designers on the team are all super-passionate about these cars, and you know, it’s not only just us in design but also in the world—there’s a huge following for these cars now and one of the things that we aspire to be is “trend-relevant” with our product. 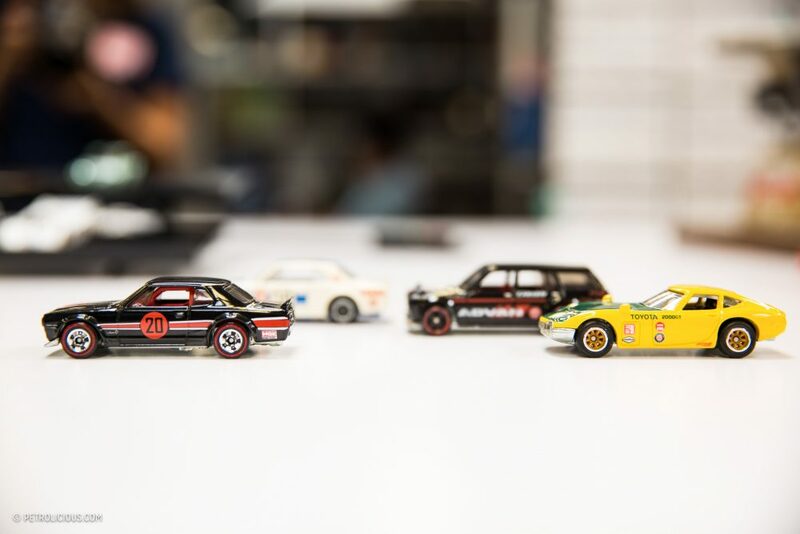 We know there’s a lot of interest in classic Japanese cars and classic European cars. These are areas that we haven’t focused as much on before, but now we’re putting a lot of emphasis in by dedicating an entire product line to these cars. 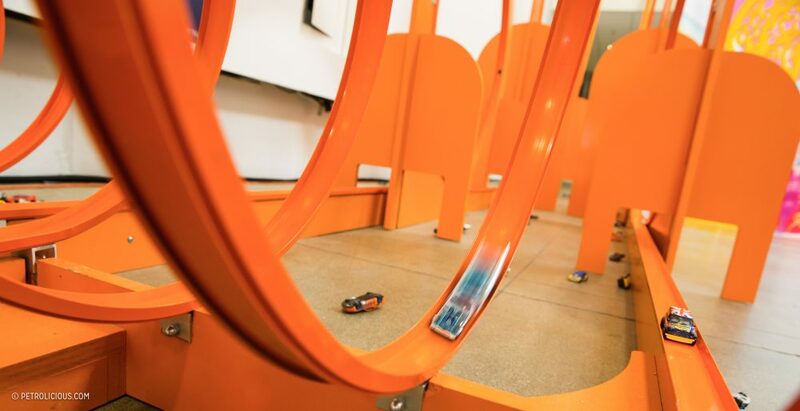 ML: Talk to me a little about the mentality in a typical work week at Hot Wheels. 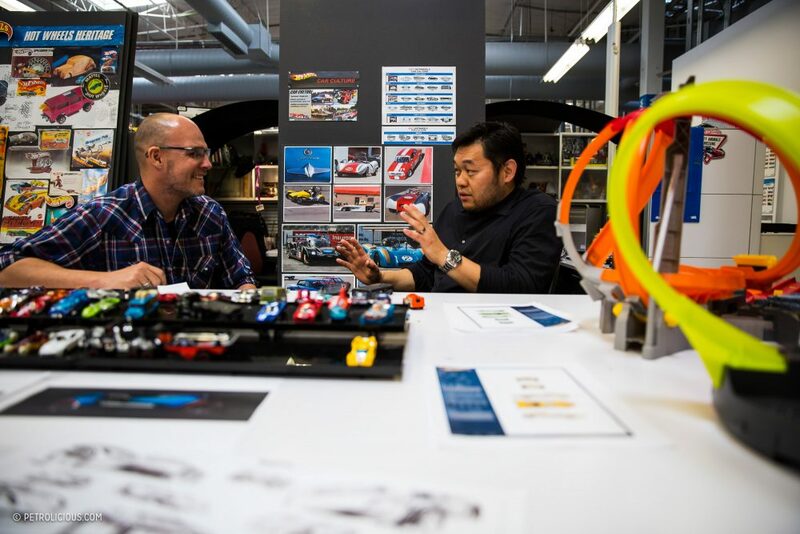 JI: Especially in the Hot Wheels diecast space, because all of the designers are so passionate, we’re knowledgeable too, and we live and breathe car culture as people. So when we come up with these ideas, we’re trusted that we can get them through the design process and be really faithful to the product because. There’s a lot of trust in us to make these designs happen and to make them look as good as they do for the fans. For the typical week though, it’s all about planning and exploring. With the amount of cars we design—literally hundreds at once—I’m thinking about the ones we need to move around schedule-wise, or, “Oh, I saw this car this weekend,” or, “Oh, I didn’t think about this car before! I wanna tell the guys about so we can get this in a line somewhere.” It’s a lot of that kind of thing, on top of the in-process designs. Really, it’s just getting through the week and getting the projects done but having a lot of fun while we’re doing it. We have track sets everywhere, so we’re testing out our product all the time. 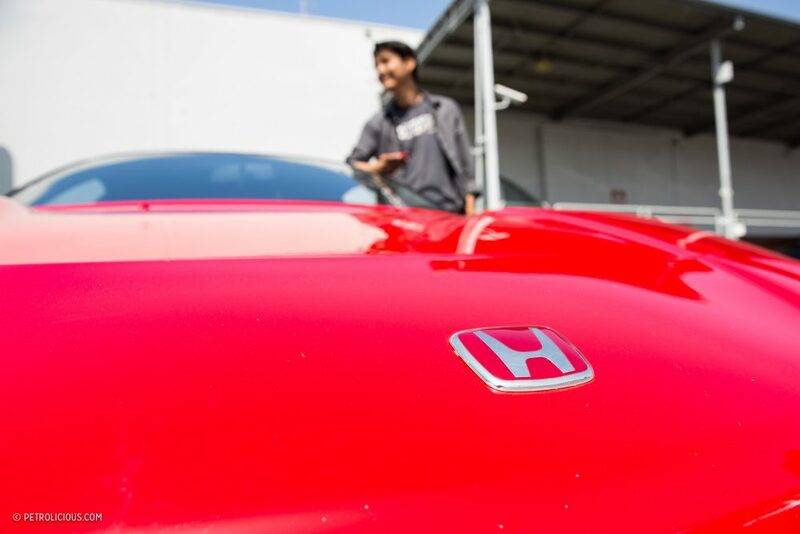 One of the great things about being here is that our cars are at various stages of design and development, so one car might be in sketch phase that we’re reviewing and another car might be a prototype from Asia that just came in, so we’ll go take it out to the big track and make sure it does loops and the track performance requirements are up to standard. Or even better, we might see our product come in as a finished sample, “in package,” and for us, it’s like a trophy! It’s finally done, it’s ready to go to the stores. Finished product reviews are always fun because when they come in it’s like all the hard work, all the months of hard work, finally it’s finished. We’ll review it and take a quick breather before we go on to the next one. ML: Can you explain some of the different obstacles you encounter when designing a 1:64 scale car vs. a road-going one? What are those challenges like? JI: There are definitely some challenges. It’s not as easy as shrinking a real, full-size car down. I think a lot of people kind of assume that that’s what we do, and that’s ok, because that’s how most people do it. I mean, we have automotive designers on staff for a reason. There’s a relationship. Everything is about the relationships and proportions; how the wheels fit on the car and the stance and carrying that line and making sure that when you bring the car down to that scale that these lines, we might have to exaggerate them a little bit so that they look like a Hot Wheels car, right? 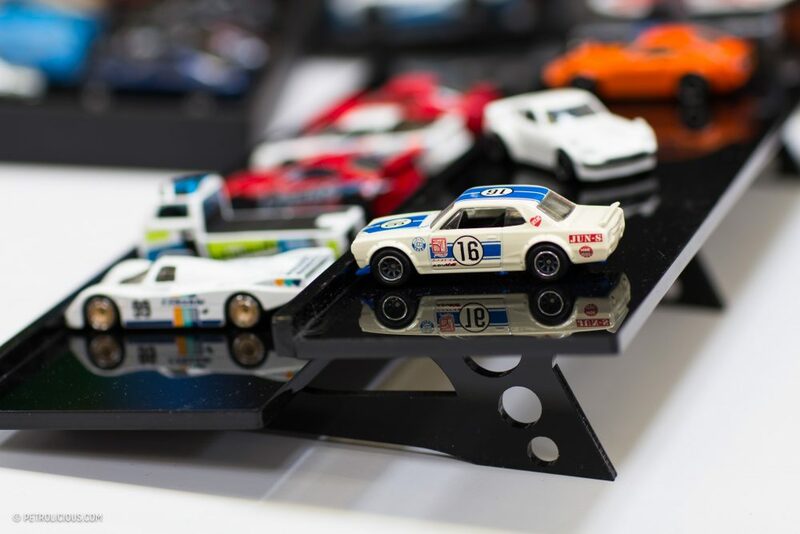 Definitely for us, designing for performance is one aspect, but the safety side is a big priorities for us too of course, because ultimately Hot Wheels cars are designed for kids ages three and up. The “and up” is because there’s a kid in all of us. ML: And part of the practice of being a toy car designer is that you get the real specs from the road-going cars and then do the math? JI: Yeah, we get a lot of input from the actual automakers. 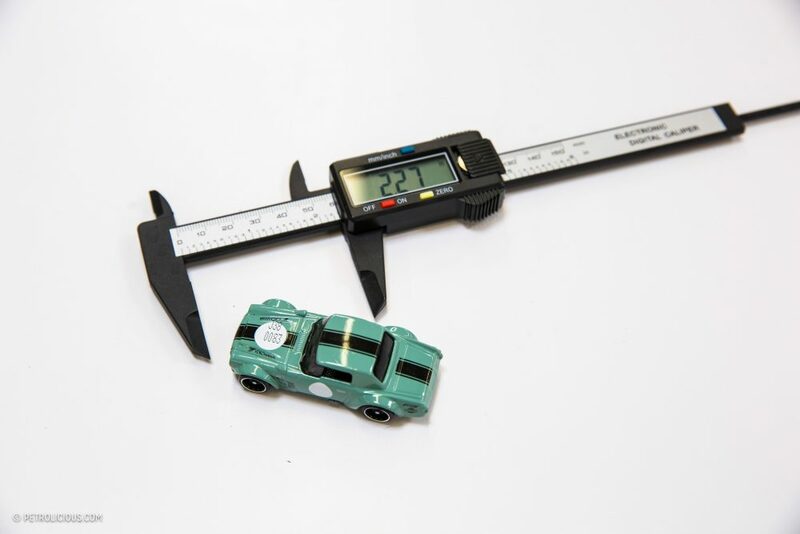 For Hot Wheels, we have standardized wheel sizes and dimensions and we want to make sure they work on our track, that they fit in packages, etc. When you line up a group of Hot Wheels together we want to make sure they look like a family of Hot Wheels cars, so working around those parameters is definitely a challenge; if you were to take a VW Bus and shrink it down and then you took a Tesla Model X and you shrank it down the exact same way, they wouldn’t look correct together. 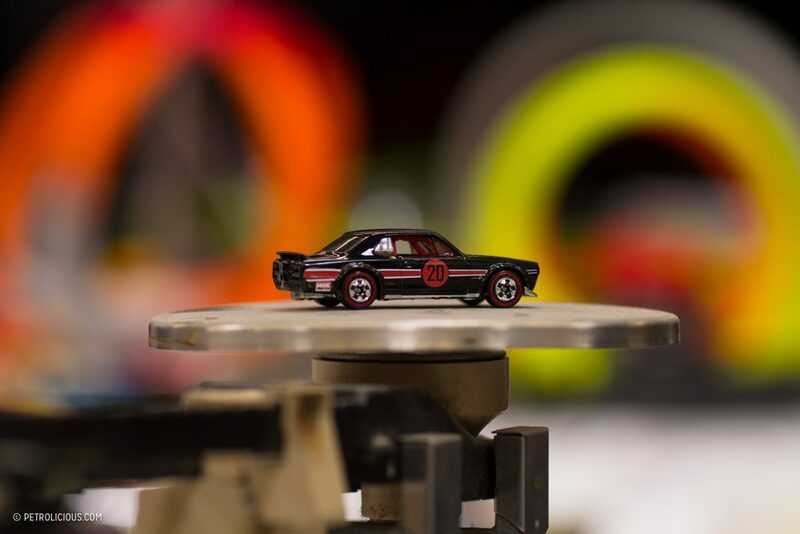 So our designers make sure the cars are framed around our wheel sizes and the other little things that we do in Hot Wheels that we don’t really want to elaborate on because that’s what makes them unique and gives us our competitive advantage. ML: From a design perspective, when you think of animals, architecture, nature, auto racing, where and how might these subjects influence your designs? JI: Oh, that’s a great question. I think that all of those things inspire what we do. 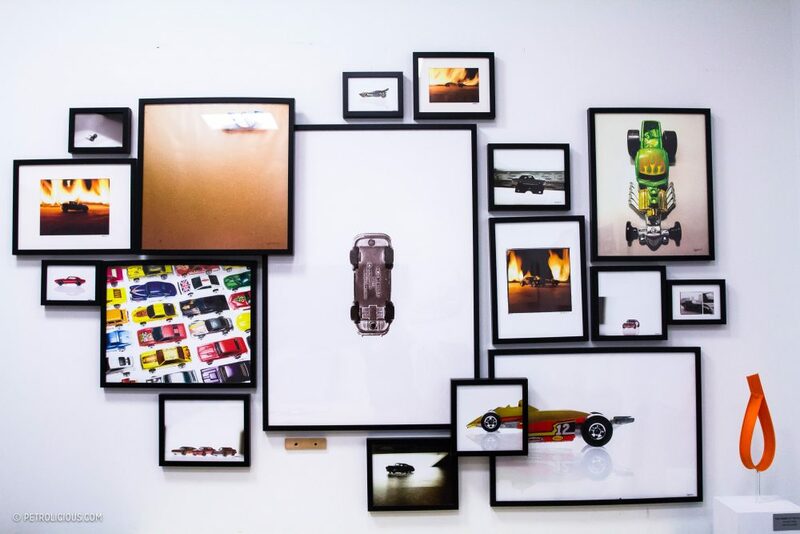 We’re heavily inspired by fashion and architecture, and of course, other cars. 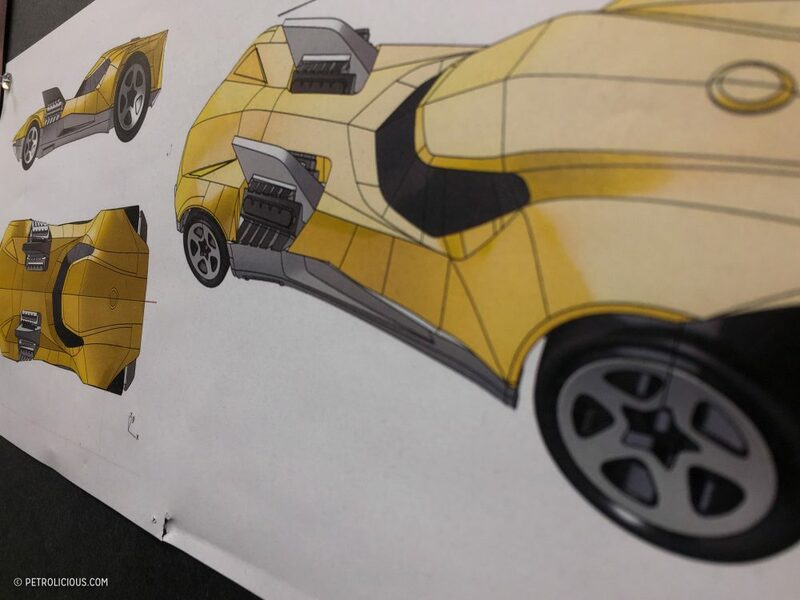 The animals are great because for that, one of the things that we do at Hot Wheels is although we’re designing toys, we’re actually designing as if they were real cars, as well. I think that’s inherently just the way we do things because we’ve all been trained to design real cars. So even when we design a vehicle, we’re designing interiors, we’re designing the powertrains and we’re envisioning how this might actually be a real car. If we’re designing a Creature Car, then yeah, we’ll look at dinosaurs or we’ll look at fish or whatever and we’ll take inspiration from these things but we’ll always translate that into an automotive design format. Whether it’s something very literal or just for kids, or whether it’s something that we want to take into a bit more sophistication like a car company would, it’s like, hey, if you’re a manufacturer taking inspiration from sharks your car’s not gonna look like a shark on wheels, but they’re taking the bits and pieces to inspire the car, and we’ll do the same thing at our scale. ML: Let’s talk collaborations for a moment. 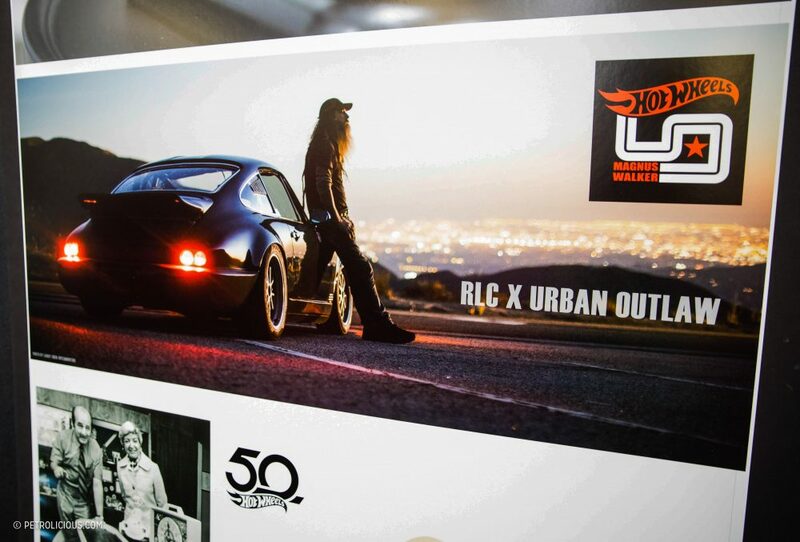 Talk to me about working with Magnus Walker on the Hot Wheels Night Burnerz series. JI: The Magnus thing? It really came from our personal interest. We’re all fans of his, we love what he does. The great thing we noticed about Magnus is that you see the passion he has in his craft and he’s doing it because he loves it. 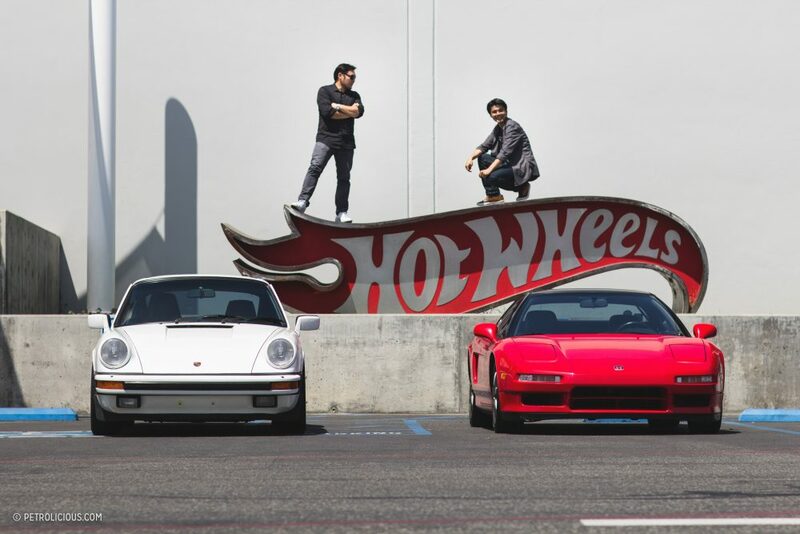 He’s doing things that a lot of people wouldn’t have done with their own Porsches, and we saw that and we were like, that’s such a Hot Wheels way of thinking, right? JI: I think just taking your car and modifying it to the way you want it, against the grain, against the norm, it really resonated with us. What Magnus does, his persona, the way he approaches his cars, the way he modifies them, the way he drives them. That’s such a great way to be. 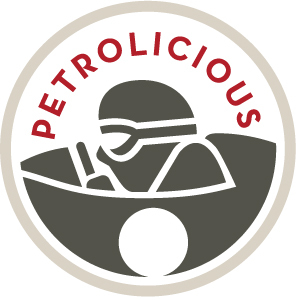 And how fitting it is for our brand because those are the things that we try to inject into our projects, as well. So we reached out to him, we let him know that hey, we’re fans, t’d be great to collaborate, this goes hand-in-hand, you know? Urban Outlaw and Hot Wheels, what a great combination. Since then it’s been a great working collaboration. ML: How many cars are in that line so far? It’s just been great because it’s a true partnership in that he actually comes in, he’ll pick his cars, he’ll say, “I wanna do this one and this one, and I have an idea for that one.” All the way down to picking the colors, what kind of graphics he wants … I mean, he’ll be involved in picking the wheels and tires that appear on it, so it’s a total collaborative process. It’s really exciting versus just doing replicas of his own cars because for us, we feel it builds a much better story to have him involved. ML: On the subject of teaming up, who would be your three dream choices to collaborate with, dead or alive? JI: That’s another good question. Hmmm. I want to say Rod Emory from Emory Motorsports. He’d be awesome to work with. 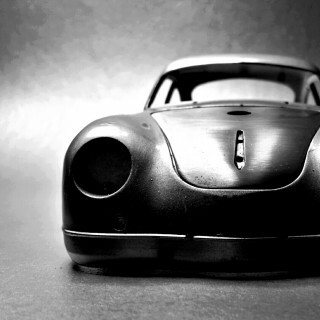 He’s the one who put Outlaw 356s on the map, and we love what he does, his attention to detail. All these things. It’d be great to potentially do a project with him. His name comes up here all the time in conversations. JI: This is a super tough question. Oh man. I can’t believe I’m drawing a blank right now! I usually have too much to say. Oh, I got one! Daniel Simon, the author of the book, Cosmic Motors. He’s the visionary who inspires us all in terms of design. He’s truly inspirational. A futurist. Former designer for the VW Group. I interned at VW back when I was going to school at the Design Center, and I remember seeing his work and I was just blown away. Since then I’ve followed his work and you see it just keep evolving. Now he’s the head of design for RoboRace. Everything he does, there’s this great quality to it where you think it’s gonna be so simple but yet it’s so refined and so beautiful and executed so well. It makes you stand back and say, “Wow, how does he do that?” I would love for him to collaborate with us on a Hot Wheels car—from the vehicle design to the graphics—not only just styling a car, but really creating this wholly new design as the entity of Hot Wheels, I think that’d be a really cool project to work on with him. At this point during the conversation, my tape recorder stops and I’m reminded by one of the Global Communications representatives, Candice, that Jun’s needed in a meeting he’s already late for. We’re close to wrapping up our interview session, so I flip the tape, and as he gets up to leave, I see someone else beside her. Ryu Asada, who’d heard my last question, shakes my hand and answers it for himself. Ryu Asada: Who else? If we could go back in time, I’d say Ayrton Senna. He’d be my first choice to collaborate with. JI: [Turning to leave] Yeah! He embodies our brand, he’s the driver that everyone wanted to be. He’s so competitive and he just … all the things that he would say, like, “If you’re not going for the gap then you’re not racing.” That’s genius, right? It’s either all or nothing, and we like that. We love that. We’re also super-competitive. We strive to be number one. Moments later, Jun is gone and I turn my attention toward Ryu, happy he’s made my job so easy. Candice suggests reconvening in a nearby conference room she’s set up and we follow her. 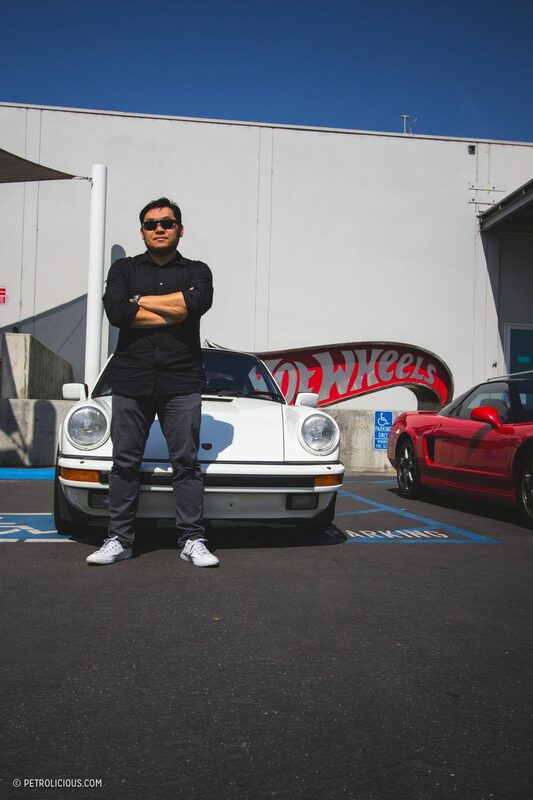 ML: Ryu, let’s talk a little about who you are, about how you ended up working as a Hot Wheels designer, and what you do. RA: I’m Ryu Asada and I grew up in Osaka, Japan. 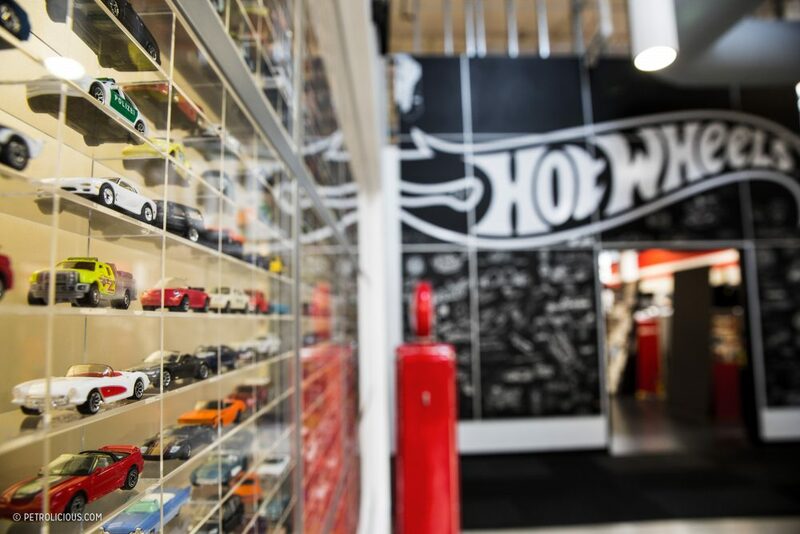 I’m a Lead Project Designer for the main Hot Wheels Basics line, which is the bread and butter for the Hot Wheels diecast team, which is pretty big. I’ll be 39 pretty soon but inside I’m still 14 years-old and ever since I was born, I’ve always been a car kid. Car guy. I was always drawing cars, playing with toy cars, reading car magazines, building model kits—everything I did was related to cars. I’d go outside naming cars on the street when I was like, three years old. My parents told me that I was able to tell them the models of anything on the street. ML: Did your parents play a positive role as far as your interest in cars went? But I didn’t want to be “other people.” And I remember that my dad, who’s a Professor of Robotics at Osaka University—he’s more like an engineer, I’m not—I remember he told me one day that a lot of people who want to be a professor won’t end up getting what they want. What my dad did was he just kept doing what he loved all the same, and he ended becoming a professor through his dedication and I thought that was pretty cool. So I took his words and I never stopped thinking about cars. So by the time I was a teenager, my drawing skills got better and that whole time I kept drawing cars, playing with cars, building model kits. ML: Outside of your natural talent and interest in cars, how did you develop your skill set? RA: It was kind of strict back in those days in class. If you did something like fall asleep, the teachers would catch you right away, so I was afraid I’d get caught when I wanted to draw. So I drew during the break time or at home because I wanted to make sure that I had the time I needed to draw well, and of course, when I was around 12 or 13, there was no internet, so there was no way for me to share my drawing with a large audience very easily, so I started submitting my car drawings to Japanese car magazines. For example, a lot of people know that I’m a Honda guy, so I was drawing things like CRXs and Preludes in a photorealistic way. They weren’t that creative, but I was so into replicating realistic photos in my drawing when I was a teenager that I got a few magazine credits for my artwork, which was really satisfying. So I used to do that and also build model car kits to develop. ML: What did you learn from building models? RA: I learned a lot about the idea of the surfacing of cars, you know? Like you’d think something was a flat surface but it actually has a nice subtle curvature, for example. Things like that. You learn by actually touching the physical surface instead of like now where with CAD or digital tools you pretty much design cars on a screen instead of touching or feeling from your fingertips. 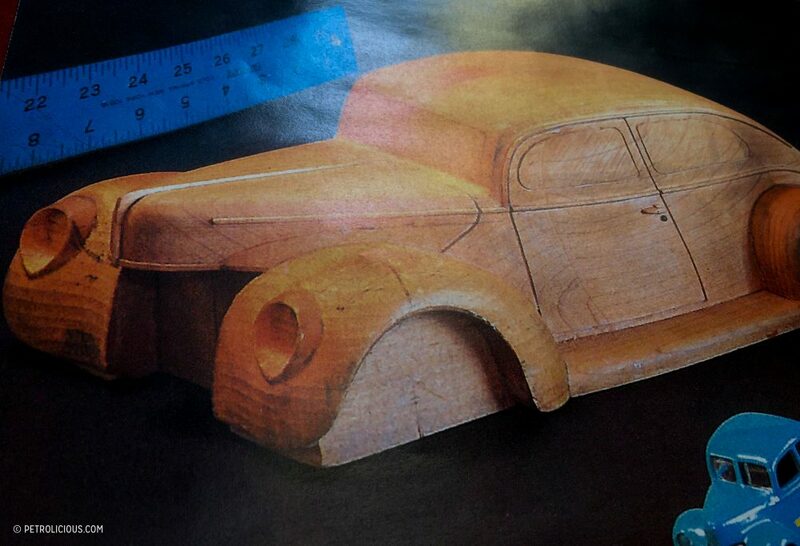 So after building model kits, I gained a natural understanding about the shapes and the proportions of cars. ML: Those creative outlets for you surely made you better equipped for what you’re doing now, but how did you prepare academically for your career? So that’s why I decided to major in physics at the University of Oregon—I was pretty good in physics classes in high school. Of course, I had nothing against physics so my first year at Oregon I did great. The second year I did OK. The third year, I was horrible. It was getting harder and harder, but I finished school all the same. So then I told my dad, “Hey Dad, I finished physics, so now can I study and go to school for design?” And he said, “Sure, you’re on your own.” So that was an interesting path to get to here, but I also met my wife during that time, so I guess it was meant to be! ML: So at that point you had your physics degree and the door wide open—what was your trajectory after that? RA: After that, my friend told me that the best design school is in California, which is called Art Center in Pasadena. I’d never heard of it. Also, I didn’t have a formal art background so I had to prepare a portfolio pretty quickly with the cheapest paper I could find, the cheapest color pencils I could find. So I did some drawing and put the portfolio together and submitted. Somehow, I got accepted, but I didn’t pass the English test, so I had to actually go back and take some more English first! [Laughs] Eventually I passed the language tests and moved to California for the first time and then started at the Art Center and finally started learning about automotive design with actual guidance. ML: How did you feel when you finally arrived at the Art Center? RA: The funny thing is, there were so many people like me there. They liked cars and toys and I thought, wow, I’ve never been in a place like this where so many people share the same interests and passion, so it kinda felt like home very quickly. In a given class, there’s only about 10 people—10 versions of me, kind of—so we’d talk about cars all the time and of course we all shared the same passion toward car design. It was great. I got to spend four years at Art Center studying cars before I finished school. Then it was time to actually get a job. 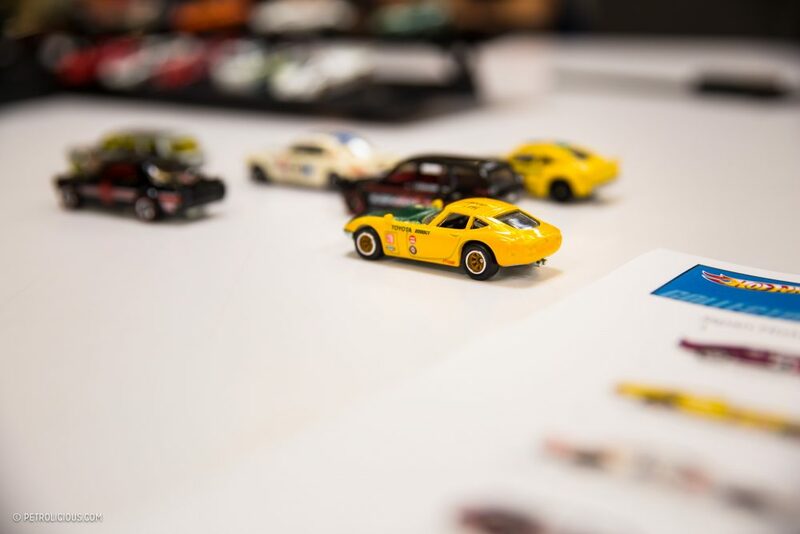 Right around that time, the Hot Wheels guys were looking to add some “real car” designers, not toy designers, but industrial car designers, who knew cars. ML: Like they’ve been doing since the 1960s. RA: Exactly! So all of us, if you look at the Hot Wheels designers’ current team, they all have the transportation design background. Some of them came from real car design and manufacturing studios. 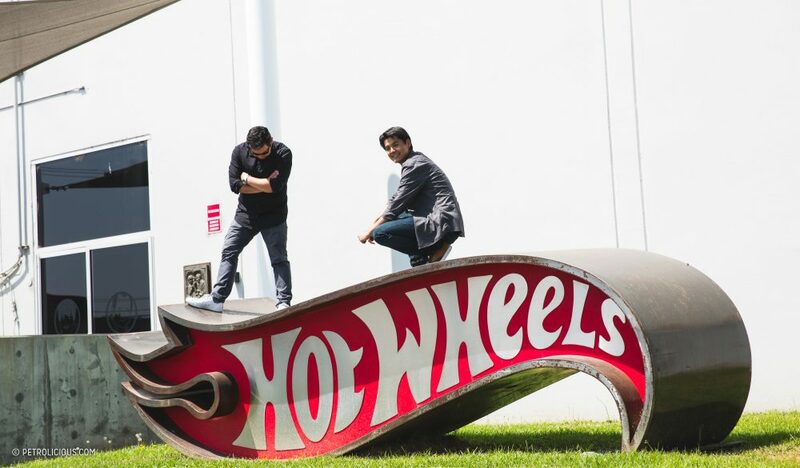 I mean, we’re toy designers, but we’re heavy car enthusiasts and we love cars. 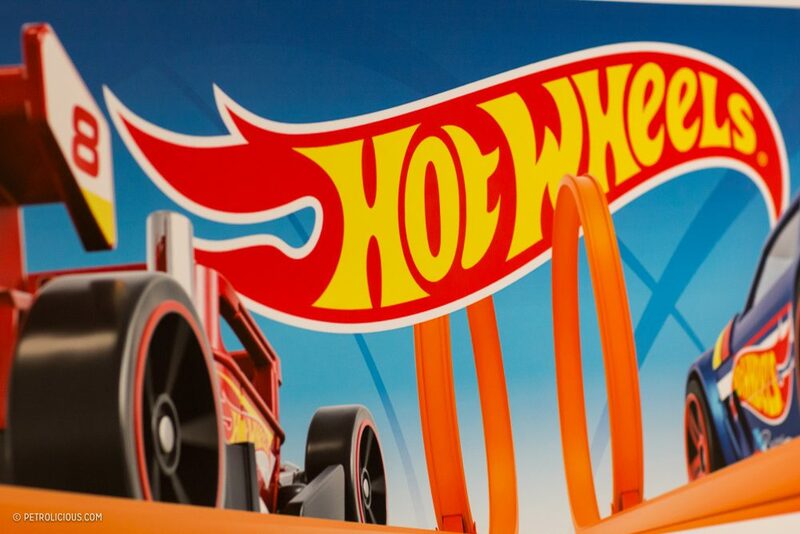 It was lucky timing that Hot Wheels was looking for designers when I graduated, and that I was accepted at Mattel. 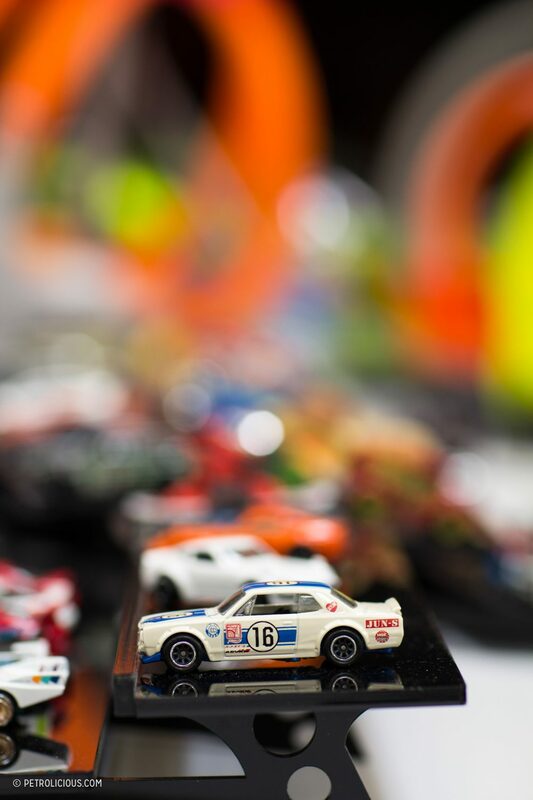 So ever since then, I’ve been working at the best place on earth creating the little toy cars we all call Hot Wheels! 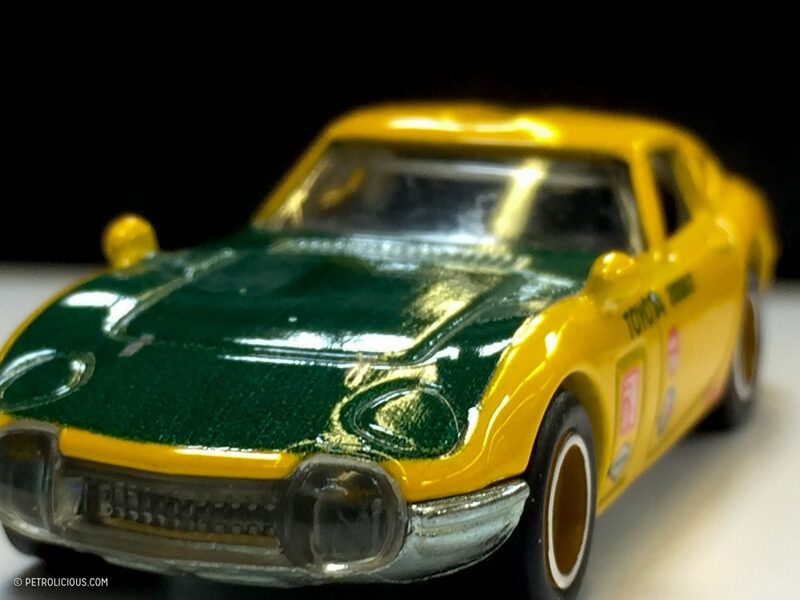 ML: You seem to lean toward accurate renditions of popular Japanese cars, so what was the first car you actually designed for Hot Wheels? RA: The first was the Honda S2000, because that was based on my personal car. 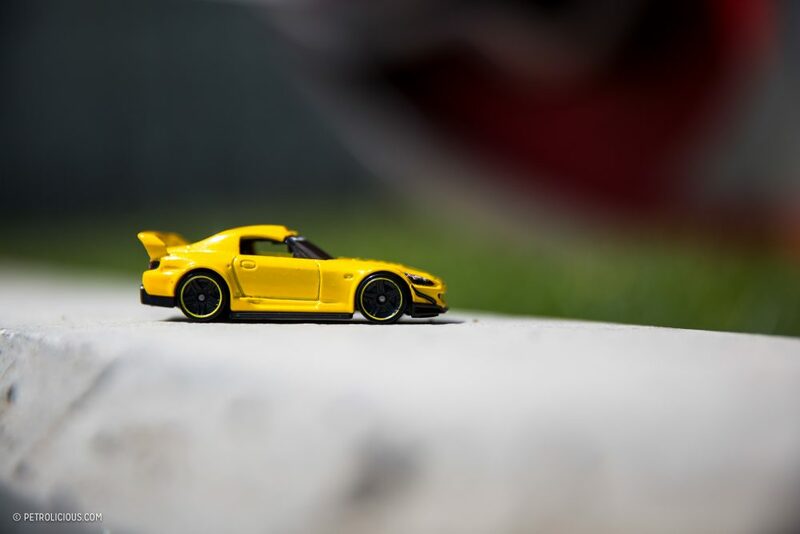 I bought the S2000 for myself around 2008, and we decided to do the S2000 in the Hot Wheels line soon after. My actual car doesn’t have the same body kit, or the hard top, or rear wing, but maybe some day if I have the money I’ll make mine a full size replica. Nevertheless, the toy is inspired by my real car. But with the NSX, the Hot Wheels version, it was quite the opposite. We first created the Hot Wheels version of the NSX, and that eventually motivated me to buy the real thing, which had been my dream car ever since it came out in 1990. That car was almost like a national treasure, so I dreamt about it, but it was so out of reach, like a unicorn. But, after making it in 1:64 scale, I told myself that life is short and I gotta get a real one, so I pulled the trigger on committing to finding one, and started looking for the right car every night on the internet. Luckily I found one nearby, so I was able to test drive it, and before I knew it, I’d bought it! ML: Speaking of other Japanese cars you’ve had, I heard you’ve owned three different Subaru SVXs? RA: Well, I’ve always loved Honda, but I wanted to drive something that nobody else had but something that was still good-looking. Then one day I saw the Subaru SVX on the street and something clicked. “That’s it! I gotta get that car.” It’s cool-looking, it’s rare, and driving it makes me special [laughs]. It’s not a Honda, but I just love that car. It’s unique and kind of represents me, in a way. Currently I only have one SVX, but I did have three at one point, and people would ask if I was doing a car show by myself and I’d say yes, I am! 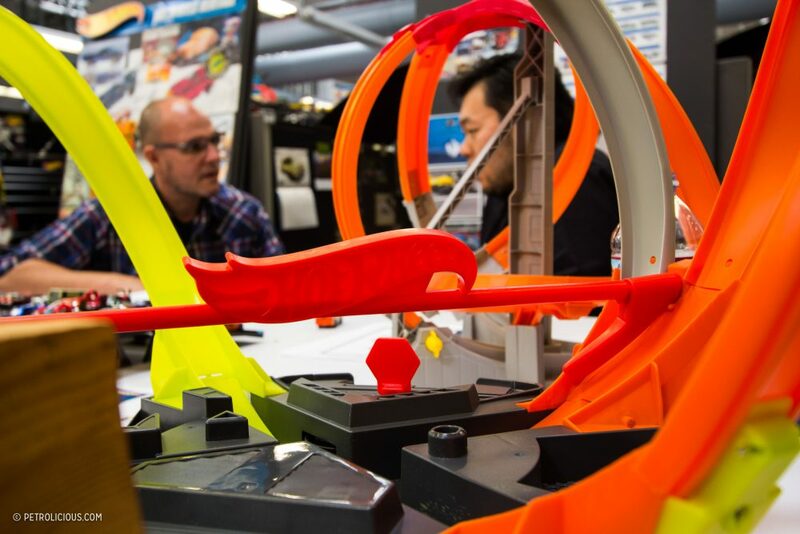 ML: Circling back to the kind of work you do at Mattel, what sort of skills and mentality and tools would you say a Hot Wheels designer needs? RA: A knowledge of cars, definitely, and also understanding the trends, not just historical cars but it’s pretty important to see what’s ahead. We need the skill to envision the brand for the future, as well as Photoshop and drawing skills. 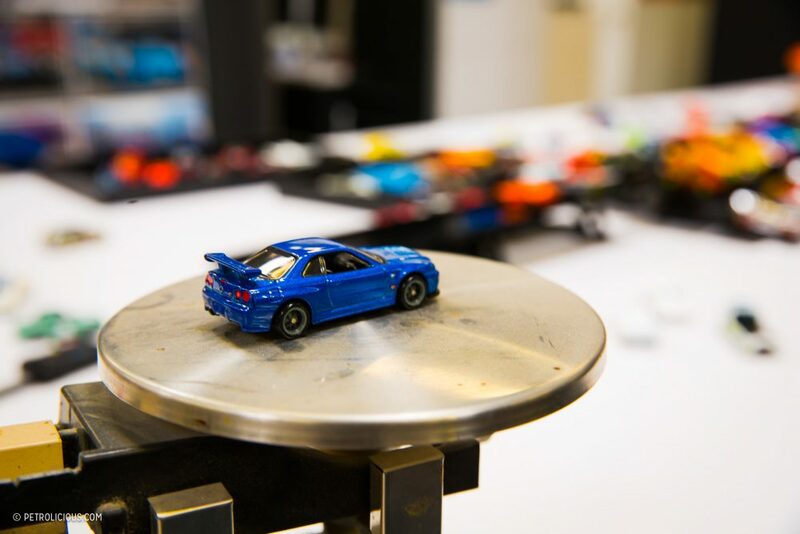 If you know 3D software that’s getting to be a standard, so you have to build the cars quickly on the computer. 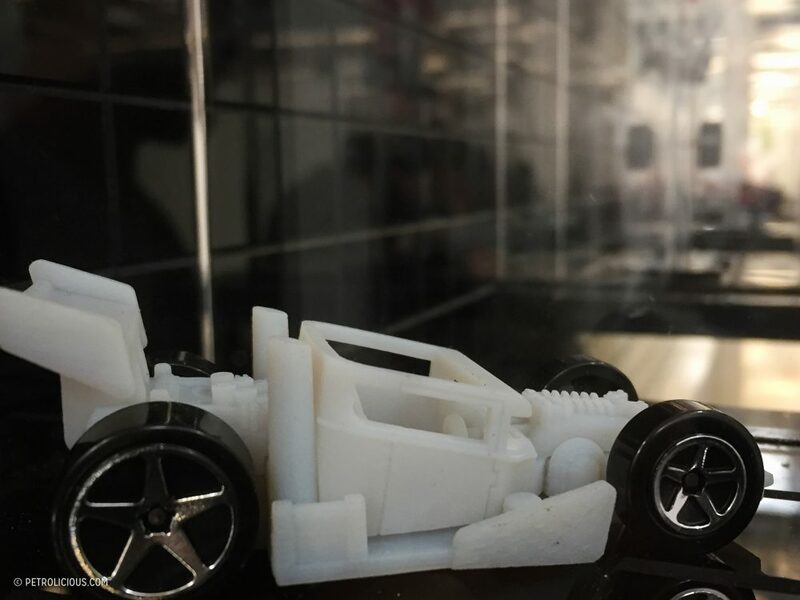 Luckily we have 3D printing machines here, so after you create a model on screen, we send it to the machine and within three or four hours we can hold it in our hands. That was a turning point at Mattel, because before that we had to send them somewhere outside and they had to build the model by hand and then ship it over to us. The whole process took like a month or something, but nowadays, with the 3D programs and output machines here, we can do that in a few days, which is pretty amazing. It’s a big leap because it gives us more flexibility in the design; you can fix something you don’t like until you’re happy with it, all very quickly. Aside from technical knowledge though, you have to have your own style and be unique because that’s what we’re looking at. There are thousands of good sketchers and car designers out there, but you have to stand out by being different and distinctive (in a good way of course!). ML: It seems that in order to stand out here you have to take inspiration from all sorts of areas, and earlier, you and Jun both mentioned Ayrton Senna as someone you’re inspired by. What was it about him that moves you so much? RA: He’s always been a hero to me. He was ballsy, and plus, I’ll always be a Honda guy! So, I was watching the F1 races in the late-’80s and early-’90s, and those were the days when I watched the most because I was a huge fan of Honda and Senna. I mean, who doesn’t like Ayrton Senna? He’s a legend; he’s like a god and he just smoked everybody. They often used to race when I had final exams or tests, so I had to record the races and watch later. But I always looked forward to watching Senna after my tests. So when the unfortunate event happened [Senna suffered a fatal crash on May 1, 1994 at Imola-San Marino, Italy], that’s actually when I stopped watching Formula 1. That’s how much I loved him. Without him, it just wasn’t the same. Formula 1 racing was huge when I was growing up in Japan though, and Suzuka is my favorite track to this day. My family and I used to go the Suzuka Circuit because the track is right next to the theme park; Mr. Soichiro Honda, when he built the race track, didn’t forget about the families or the kids or the moms who actually had to go with the husbands or the boyfriends to see the race, so he built the theme park so that kids could have fun too, not just their parents. When I was kid we used to drive up to the Suzuka race track drive the go-karts on non-race days. And now, whenever I go back to Japan, even today, I always go there just to have some fun. You can actually go on part of the race track with the go karts for $7 or something, so that’s good deal. It’s a really great place to be. 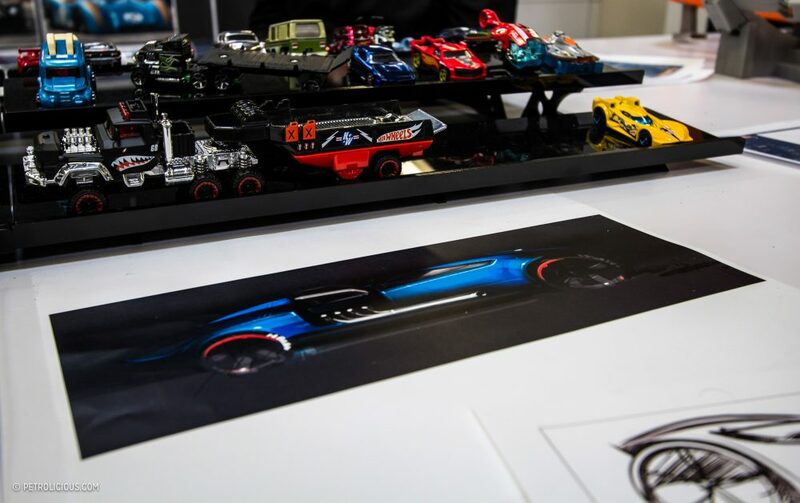 ML: Obviously, Hot Wheels has done so many cars, including some designs from F1. For instance, my favorite F1-inspired car is the old one, the “Lickety Six,” inspired by the P34 from the old Tyrrell six-wheeler. As a car designer, how can you make a car like that different when you’re also trying to retain some historical accuracy? How do you put your own spin on a car like that? 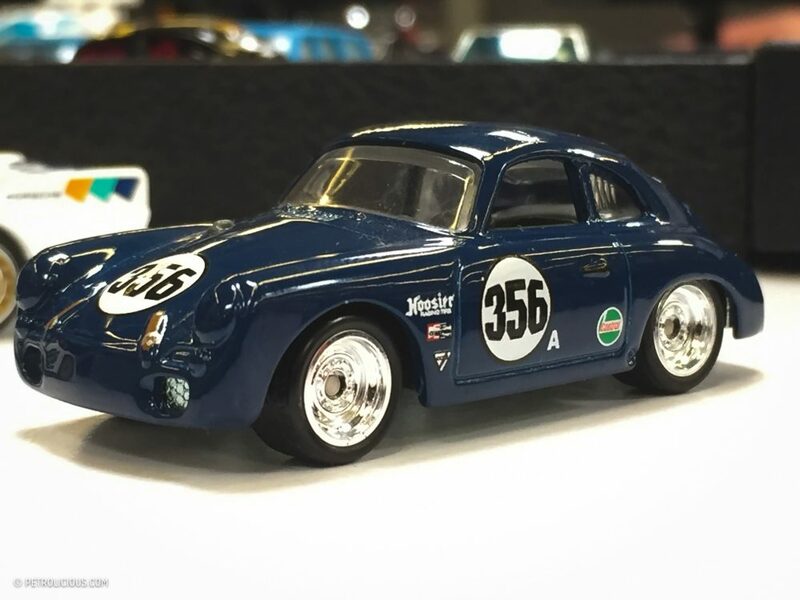 RA: Cars like that are kind of like replicas, so we take a look at the real things, lots of photos, and get the idea and essence of the real car first, and then we turn to the Hot Wheels side. If you just scale down the real car to a 1:64 scale, a lot of the feeling that the real car has gets lost at that size. 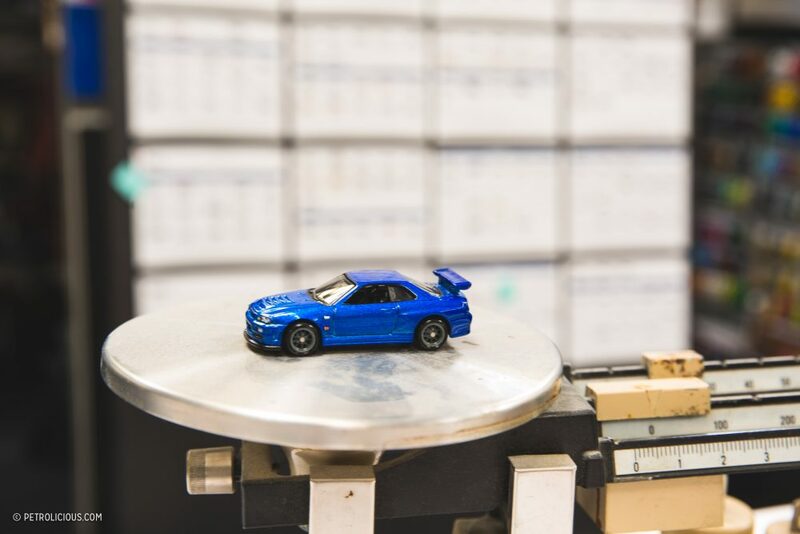 A lot of what we do is super accurate, for sure, but for a car like that, if you see it on a desk about three inches long, sometimes it doesn’t look right. So that’s where we come in. ML: So that’s what you mean by making it your own? RA: We call it “spice,” or the “Hot Wheels essence.” So we go back and add some fender flares, for example, or other exaggerated details and make it look right in terms of its aura. It might not be super accurate, but the feel of the “real” car is there because we emphasize its features so they still come through in the smaller size. 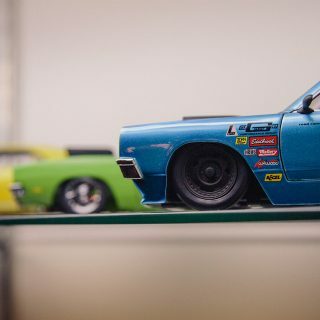 Also, when we do the replicas of the “real” cars, we often might make them sit lower than the real things, much like a concept car in real life has more aggression than the production version. 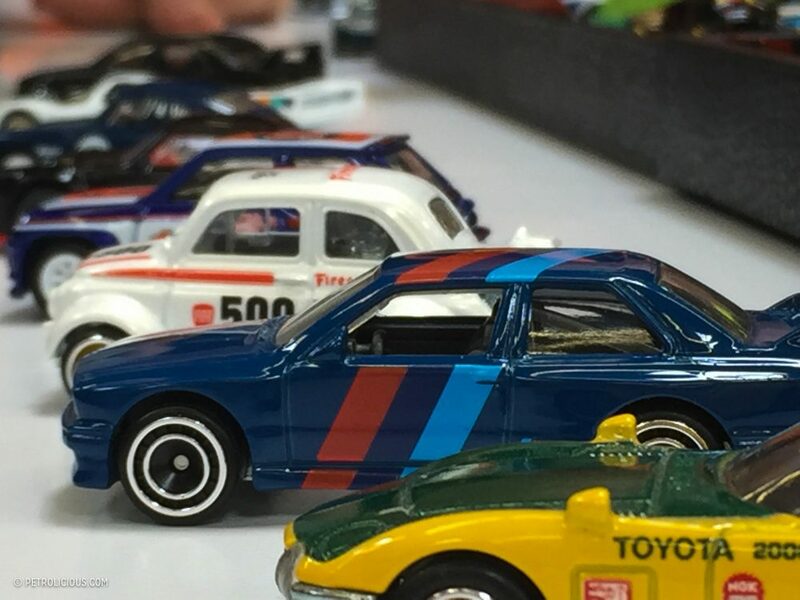 ML: Speaking of real cars vs. miniatures, how do you design and prepare for upcoming model years of Hot Wheels? RA: Well, the busiest time of the year is in August. That’s when we’re preparing for the next year’s line up. 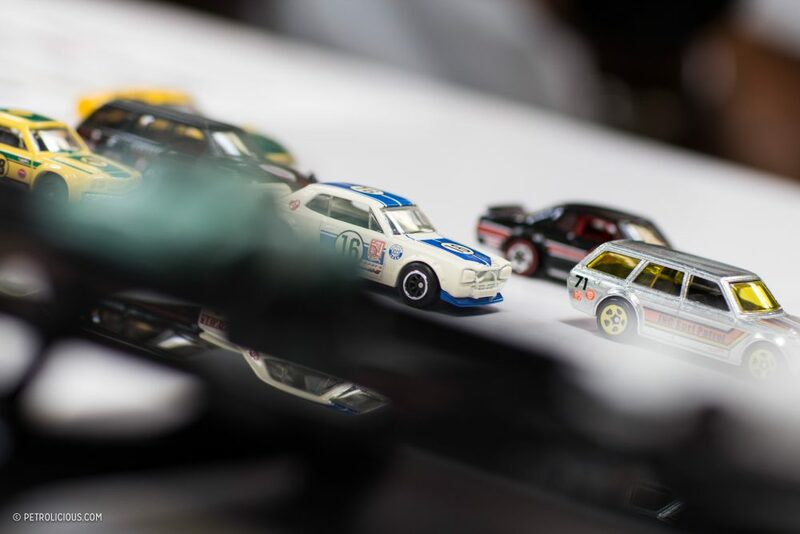 So usually we’ll have 50 brand-new models and it’s my responsibility to pick all the other existing models for the upcoming year, so in total, we have 50 new castings, plus 200 cars in three different graphic schemes. Plus, I’m in charge of selecting the cars for the Five Packs, as well. 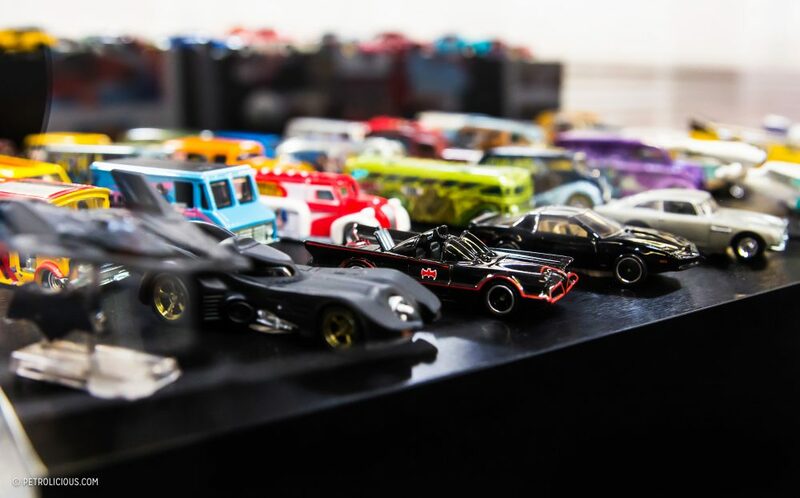 We have something like 2,000 cars in the Hot Wheels library, so I have to look at the list and choose the cars for the appropriate “mini collections.” There’s a Muscle Car mini collection, the Race Team mini collection, Factory Fresh mini collection, Night Burnerz mini collections. I can go on and on. That goes on all through August and September. 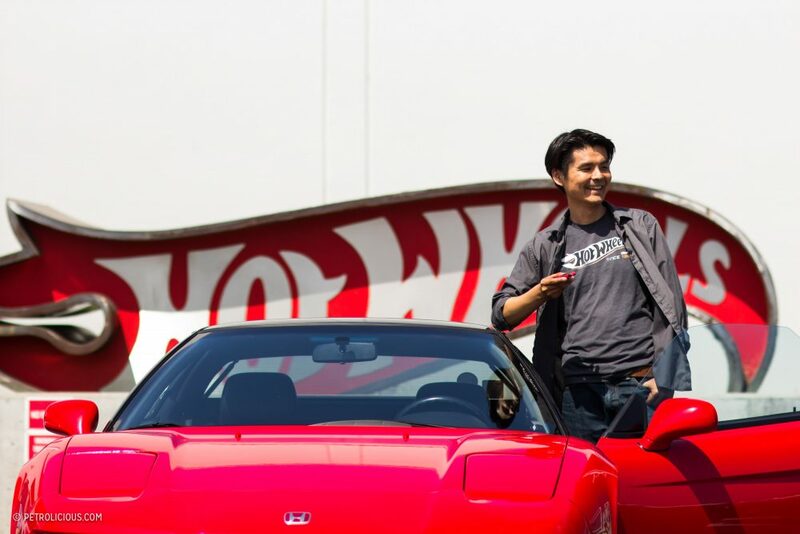 So Jun and I and a few other guys will get together and look at the overall big picture of the car releases coming up, and see if we have, for example, too many Japanese cars, or not enough muscle cars, so we have to make sure there’s enough variety and mix. Sitting across my us, carefully listening to our conversation, Candice chimes in with more stats about Hot Wheels production and let’s give credit where credit is due, I say. Candice Jacobson: There’s an 18-month window from when a car’s selected to its production. 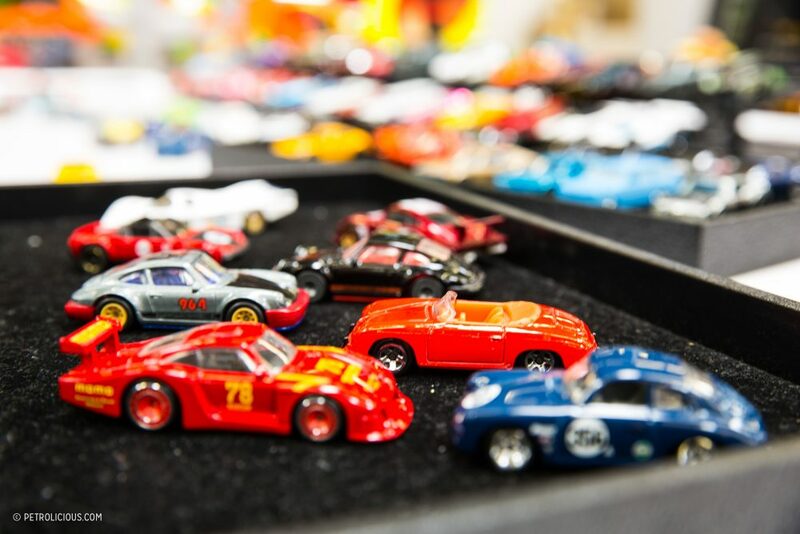 When you get a “Case Pack” of Hot Wheels at Walmart or K-mart or elsewhere, there could be two Teslas, three BMWs, a Batman car, a shark car, a Magnus Walker car, and a Porsche—there’s a ton of selection in one of those larger packs. ML: It certainly sounds like a lot of thought goes into a single package. Thanks for the clarification. Ryu, back to you for a minute. 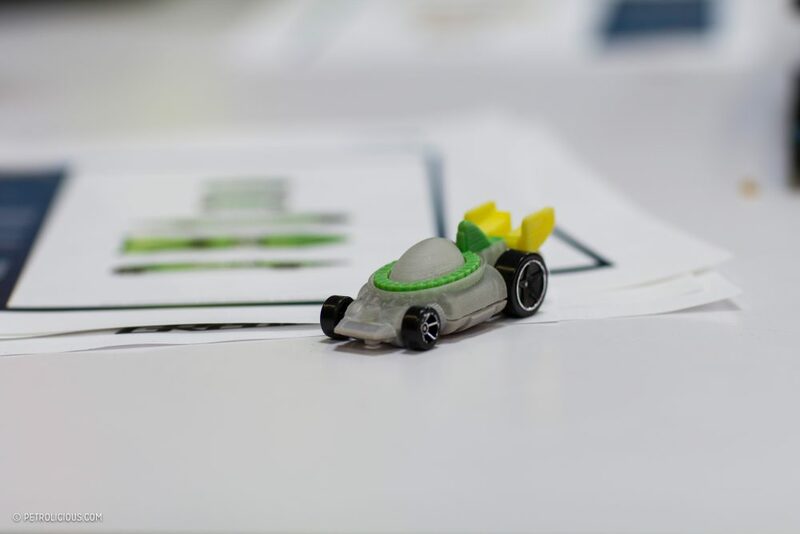 When you’re designing a new car, or even just thinking about what to make next, what motivates you? RA: I think designers are inherently visual people, so whatever we look at, we automatically think of the curvature or color or something that could be incorporated into a car. For me, inspiration comes from pretty much anything I see, and sometimes not just visually. Sometimes, coming from motorsports, watching races, the sound that Formula 1 cars or rally cars make, that just motivates me to go back and draw cars, cooler cars, instead of, say, listening to jazz music, which doesn’t motivate me so much in terms of car design. It’s things like that, just listening to an engine sound, especially the vintage race cars, you know? That’s really good motivation and inspiration to actually draw a car, so it’s not just visual. Also, fashion, like Nike, for example. I heard a lot their designers are car guys, as well, or they have a car design background, so I see some similarities from them, too. Maybe when they design shoes, they’re getting some inspiration from cars and we’re sometimes getting inspiration from shoes, which kind of makes sense anyway because it’s all sports, it’s all energetic, you know? We need to make sure that the cars we make look energetic even when they’re sitting still. ML: Final question. 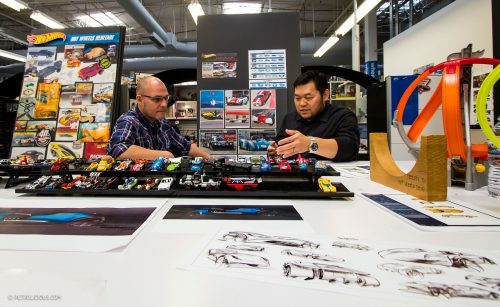 Where do you find the most pleasure when you’re designing a Hot Wheels car? 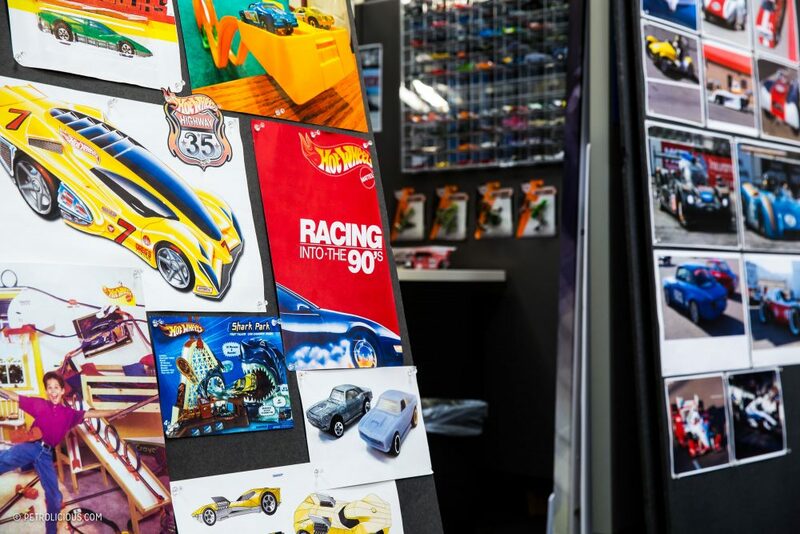 RA: For me, the Hot Wheels Originals. 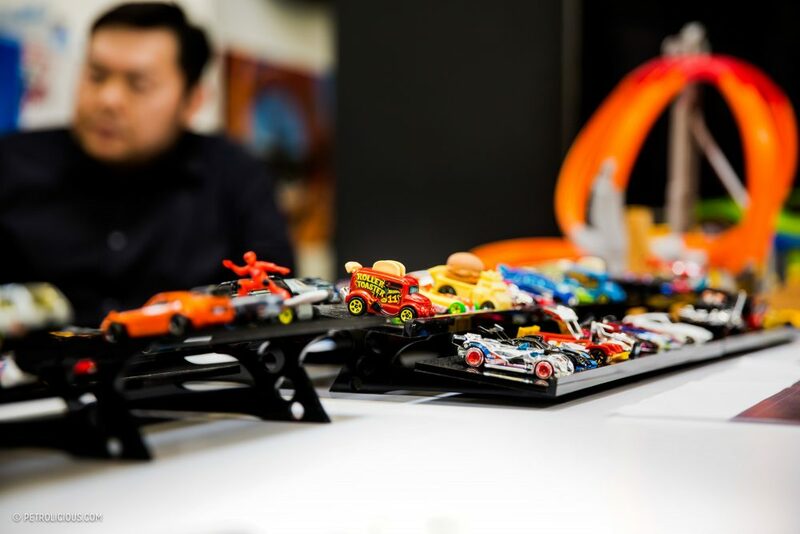 That’s where we can unleash our creativity; when you want to do something really crazy, something really out-there, or simply a very fast-looking car that would never be made in real life, the Hot Wheels Originals are where those go. That’s where the designers can do a lot of crazy stuff. Just have fun with it. After all, isn’t that the point of any toy? And with that final answer, I turn off my tape recorder, satisfied that my mission is accomplished. The foundation for this hallowed place that I’ve been inside for the better part of a morning is built on dreams, ideas as vast as the galaxy itself. Witnessing the application of persistence and science and vision only leads me to more questions, but as I’ve learned today, some things should be left to the imagination. View this post on Instagram Hey everyone, this is another @hotwheelsofficial livery/design I came up with. The last design I did for #HotWheels(Not Official/but got re-posted) was the “Foxy Duck” fox body mustang. After the expansion of the #HotWheels update on May 9, 2017. This design took place sometime after that, but didn't want to showcase untill way later. So thought now would be a very good time. @mattel @hotwheelsofficial ——————– #Toys #Ford #Forza #XboxOne #HotWheels #ForzaHorizon3 A post shared by Self Taught (@that_painter_mikequan) on Oct 29, 2017 at 10:16pm PDT You might want to check it out. I’ve always been amazed at the detail of the graphics painted on the cars. Its magic how such small complex 3D shapes can be decorated with such accuracy. 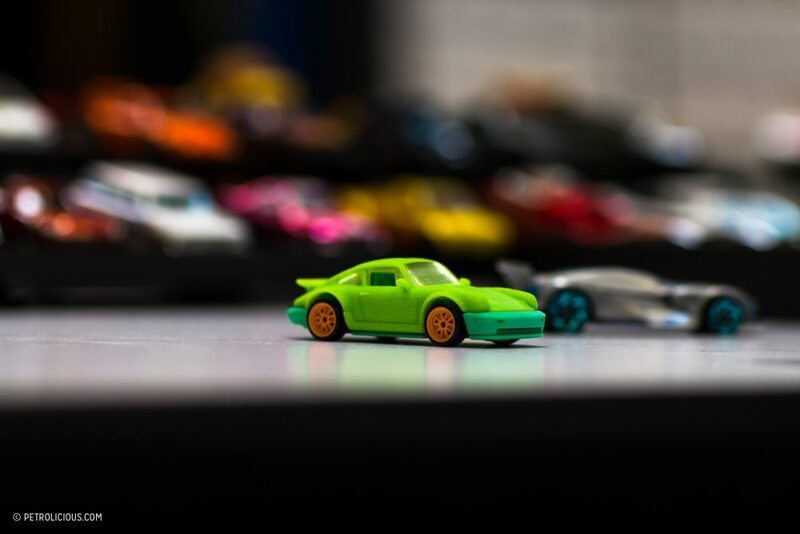 Hot Wheels are probably the best toy you can buy for $1.00 or less. I love buying the Hot Wheels version of cars I own. It’s like showing the inner kid in you that dreams do come true. Impressive write-up. Cool to see something similar for Exoto, and/or other high end model manufacturers. Vintage go karts too while you’re at it! This is a KILLER article/interview. The people who were a part of it should be super proud. Some serious investigative work and asking all the right questions. 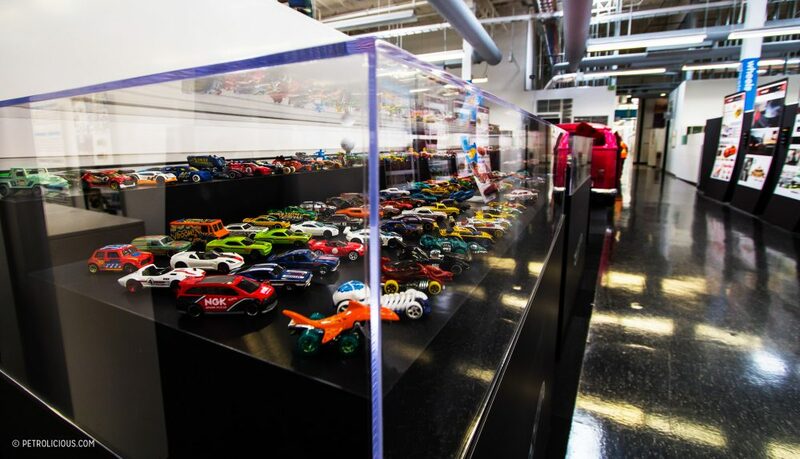 Did anyone talk about the state of Hot Wheel collecting in the retail environment? Is it moving more toward online purchases? Do they have to adjust the product for that in any way (color that pop on a computer screen, change of proportion, etc. )?